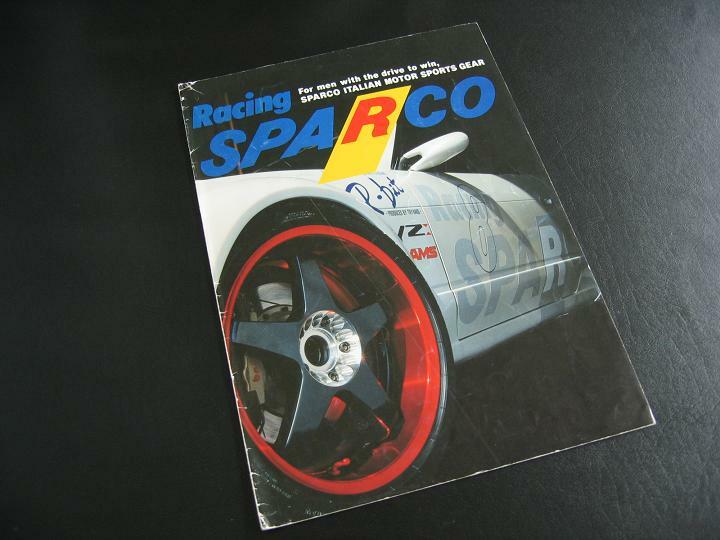 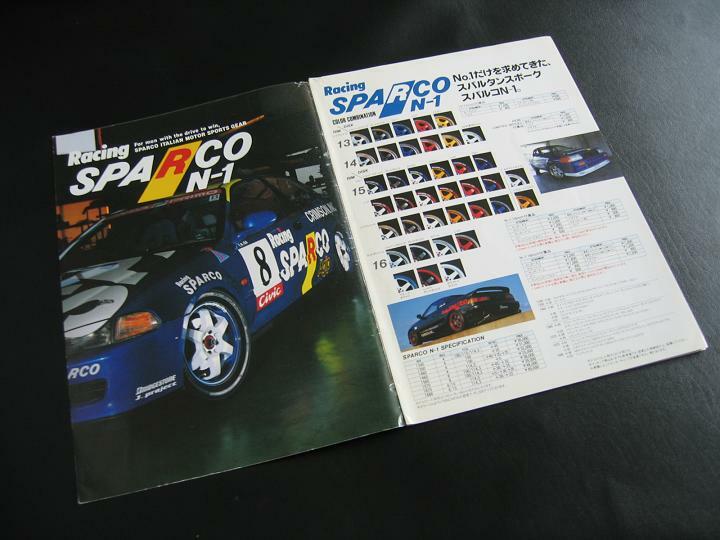 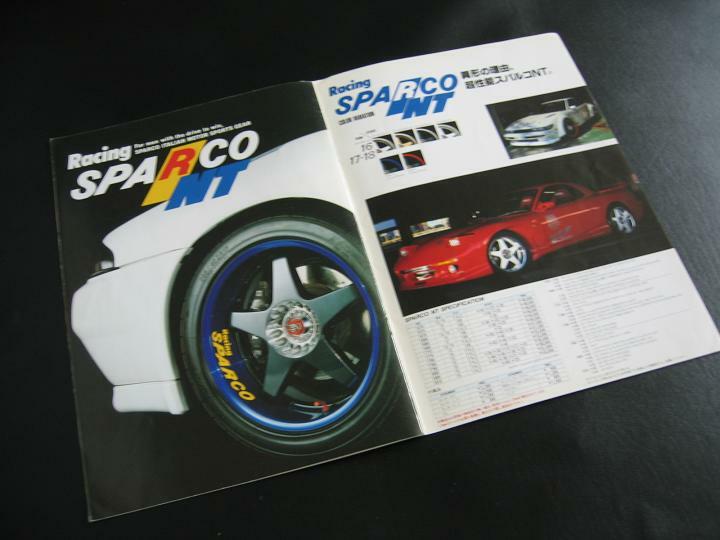 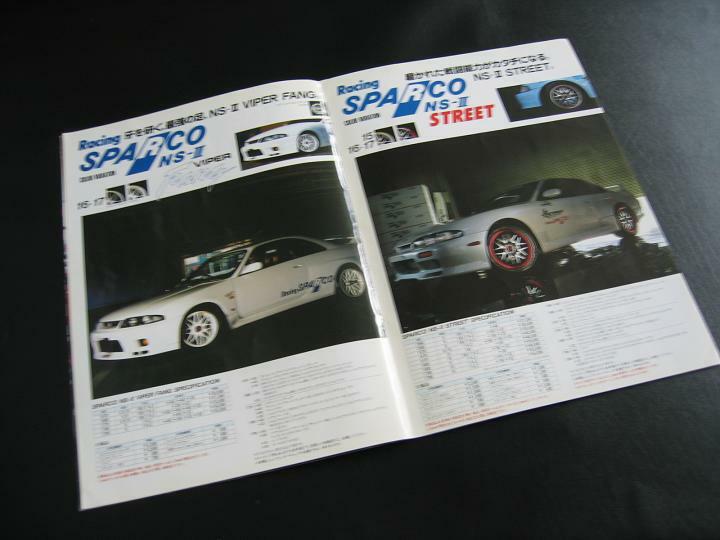 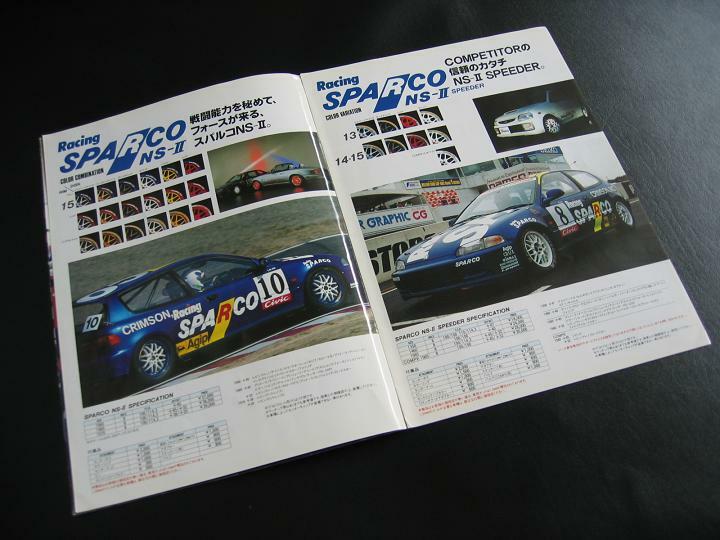 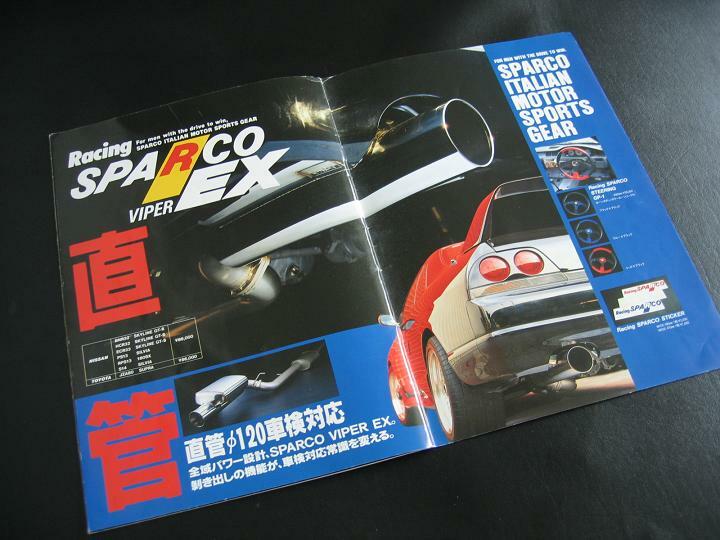 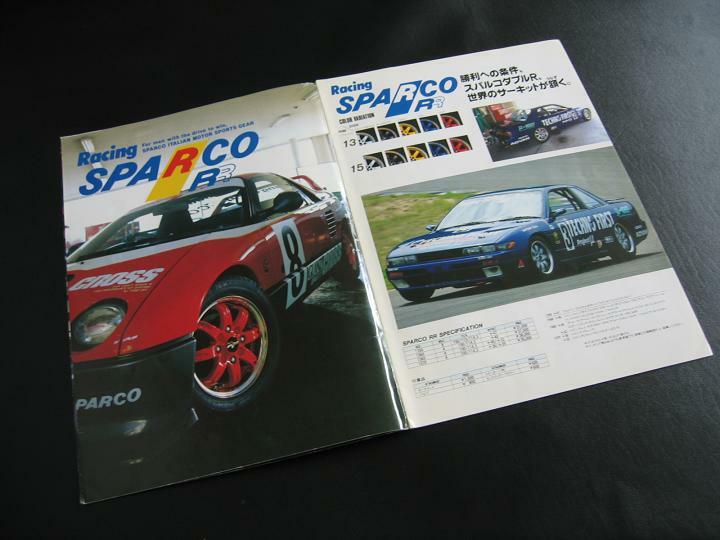 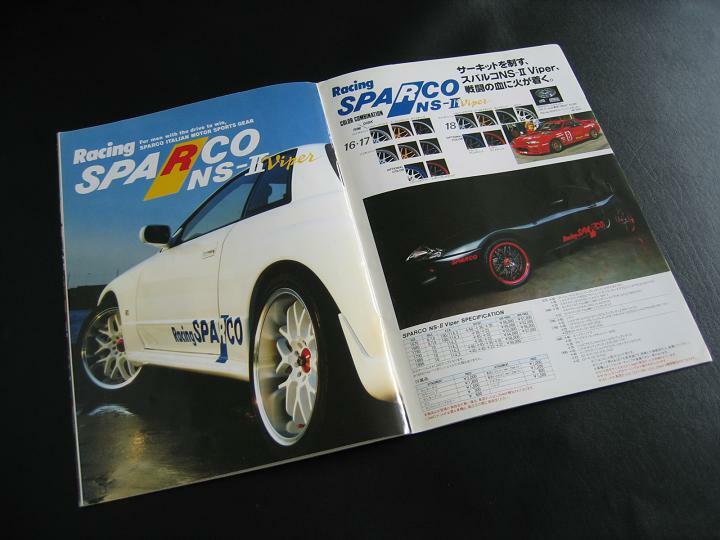 - Contains pictures and specs of Sparcos 1995 line up. 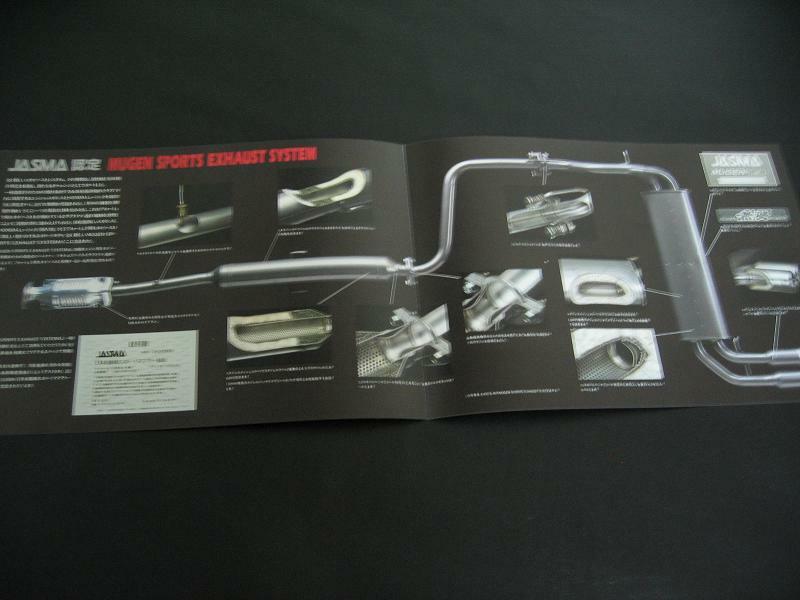 NS-II Street, NS-II Viper, NT, and Viper EX exhaust. 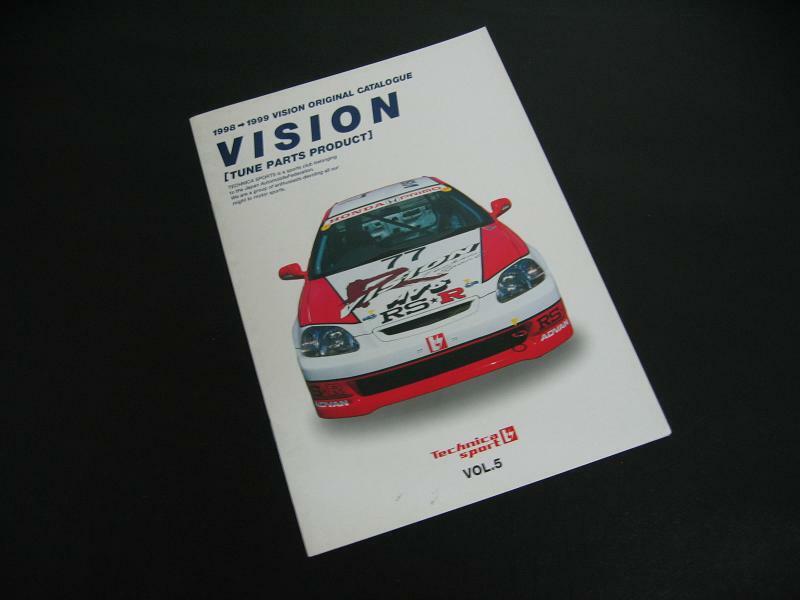 - Pictures, specs, and part numbers of the Vision parts of that time. 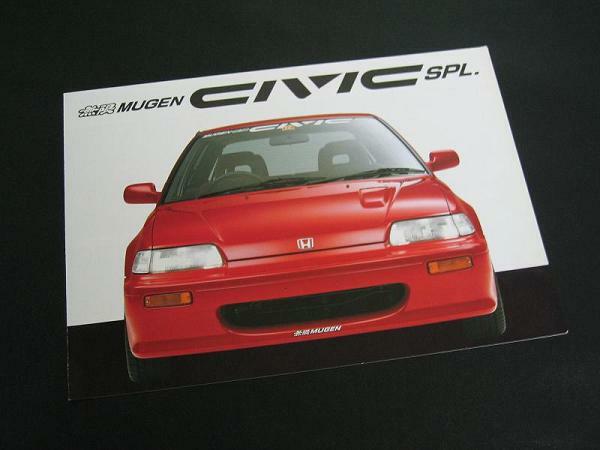 - Contains pictures and part numbers of the Mugen street parts for the 1988 Civic. 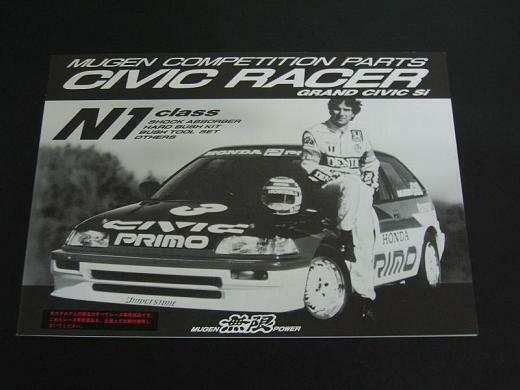 - Contains pictures and part numbers of the rare Mugen race parts for the 1988 Civic. 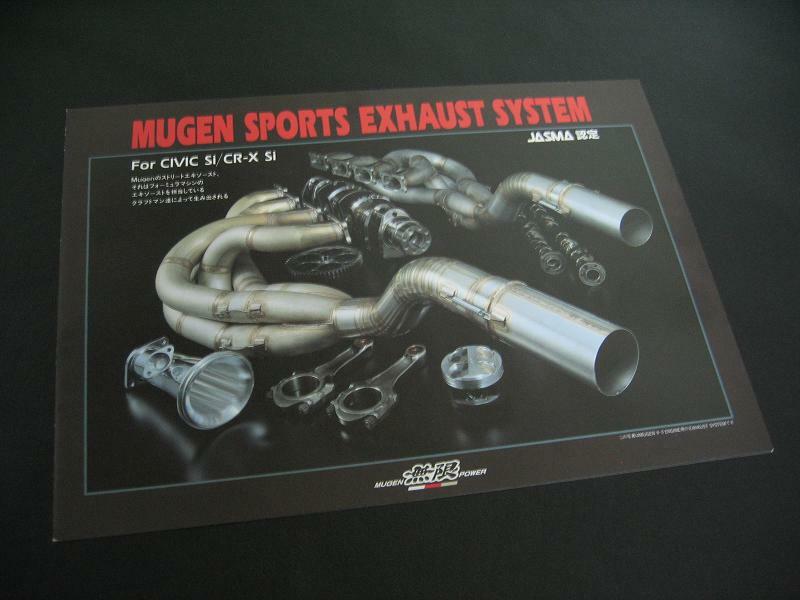 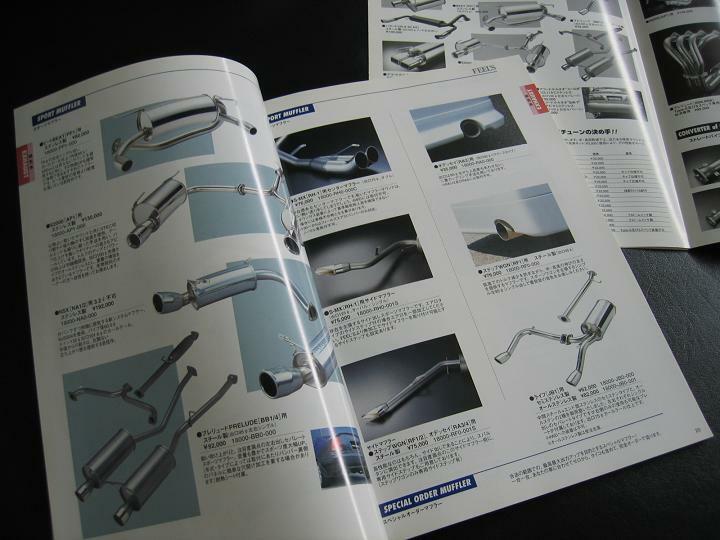 - Contains pictures, part numbers, and complete characteristics of the older style Mugen exhaust system. 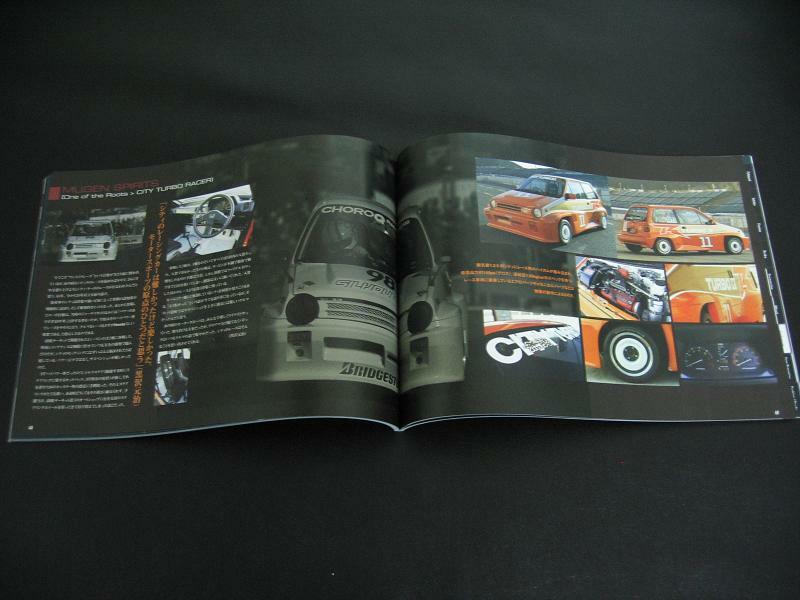 - 1 page, 2 sides. 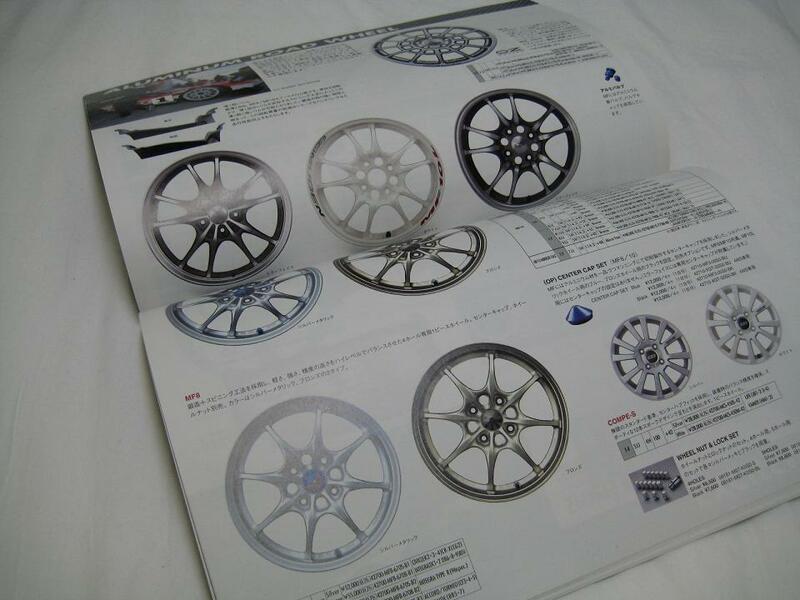 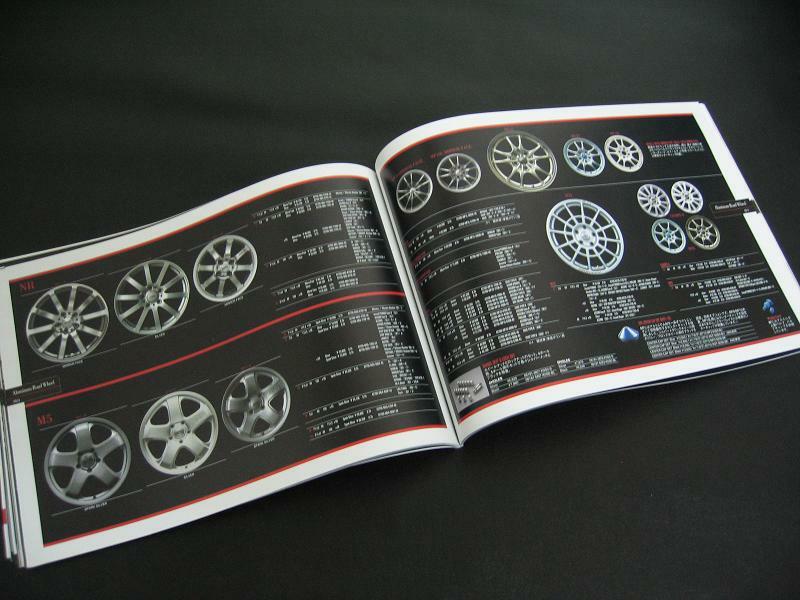 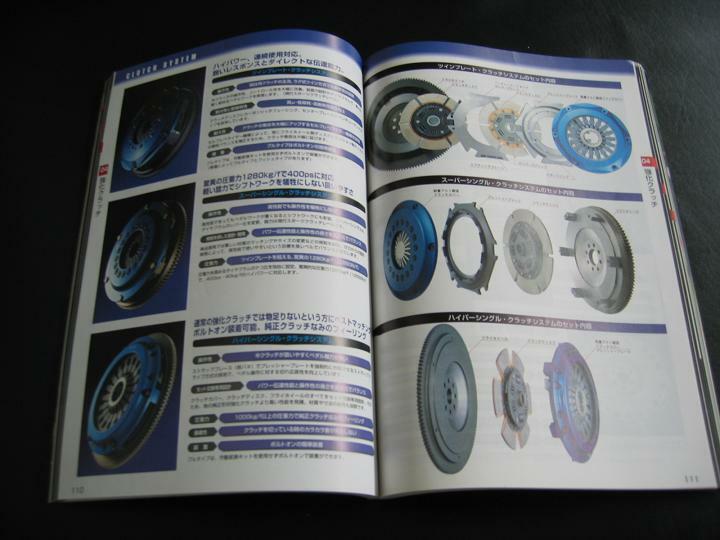 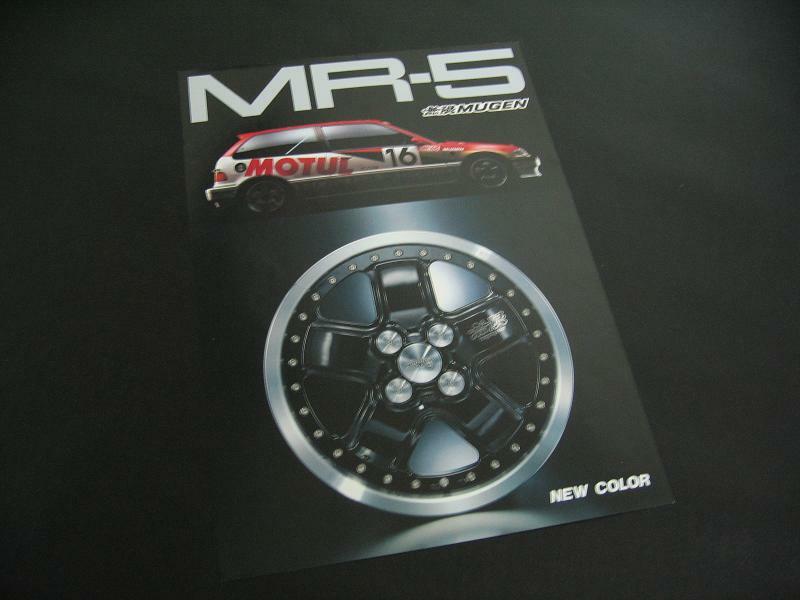 - Picture and specs of Mugen's most popular wheel. 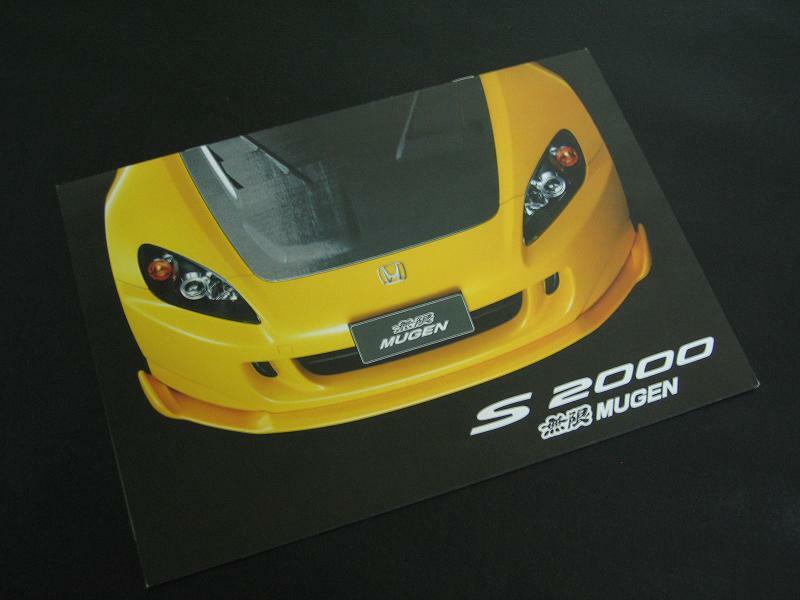 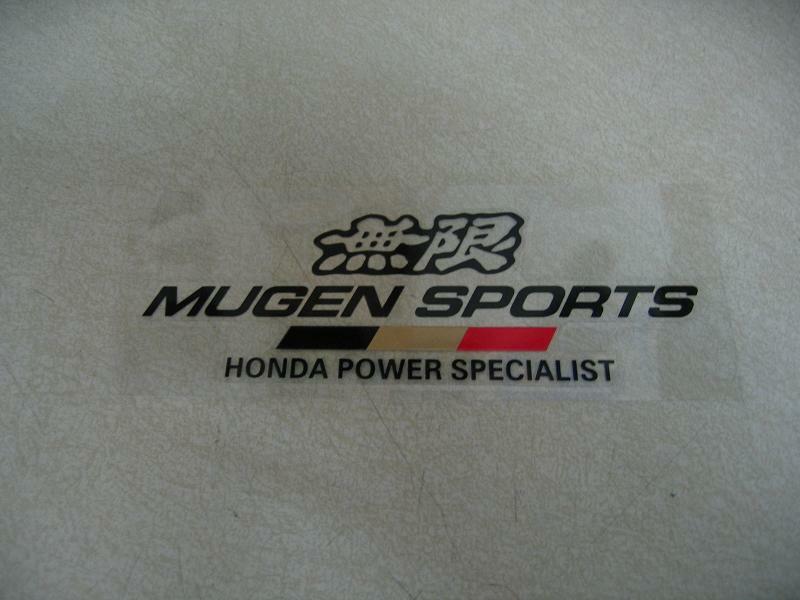 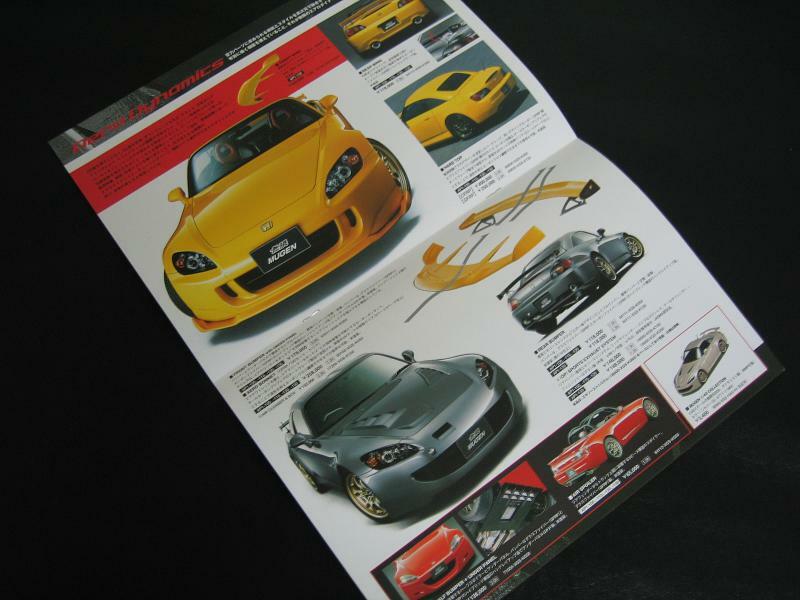 - Contains complete Mugen parts for the S2000. 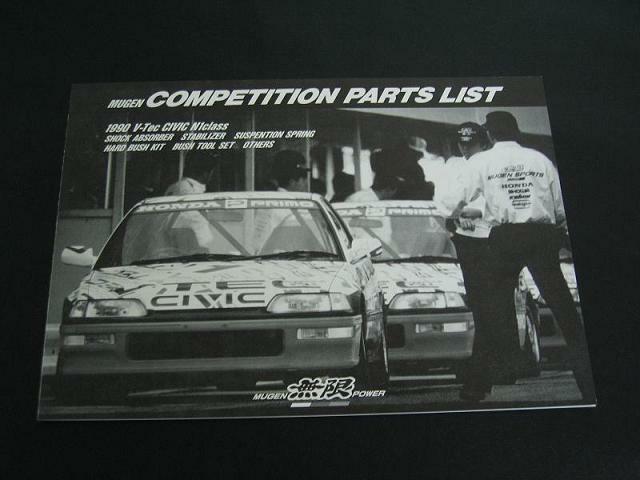 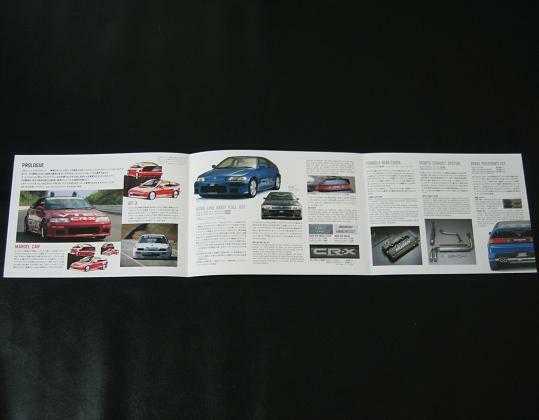 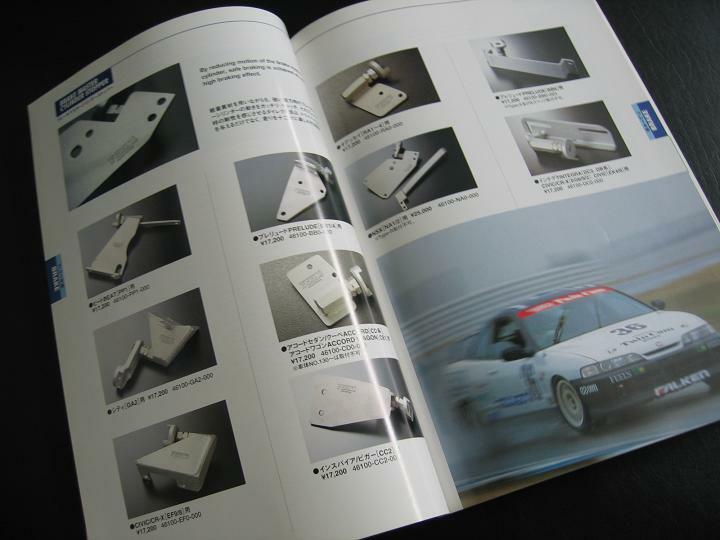 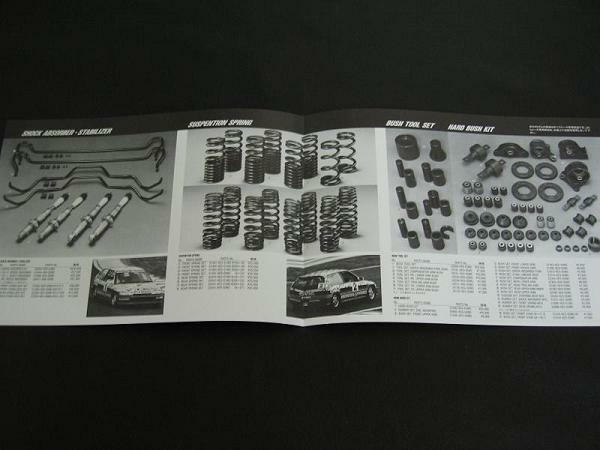 - Contains pictures and part numbers of the rare Mugen race parts for the 1990 Civic. 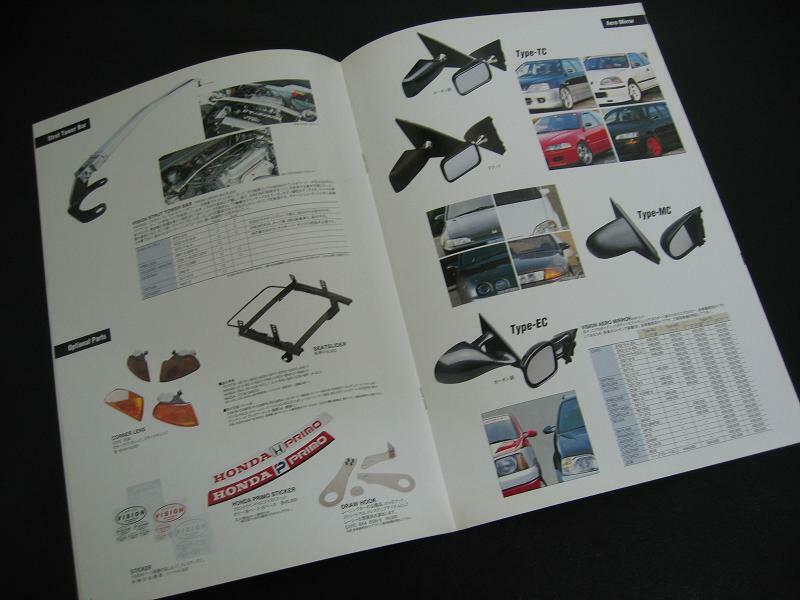 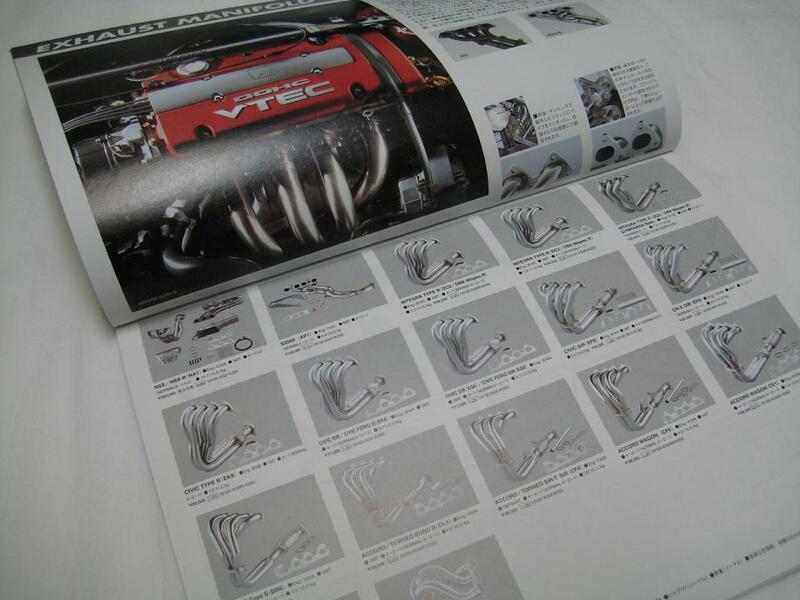 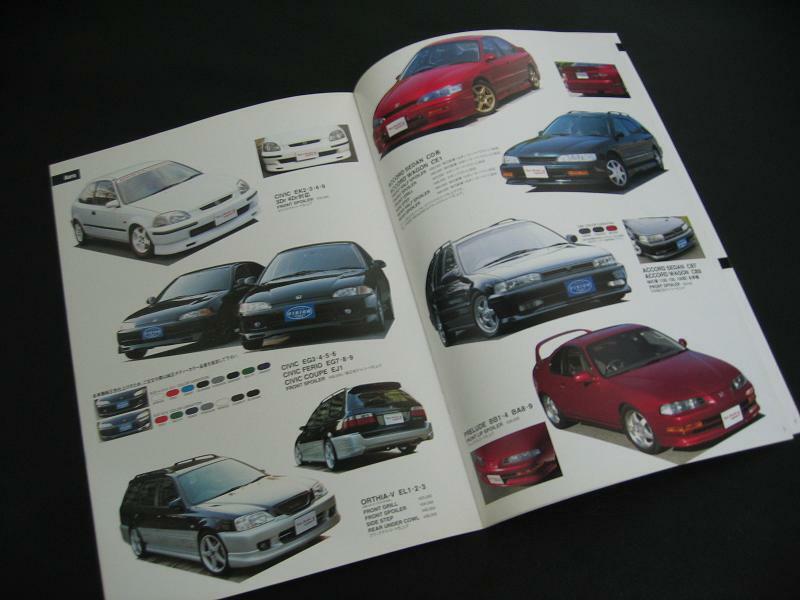 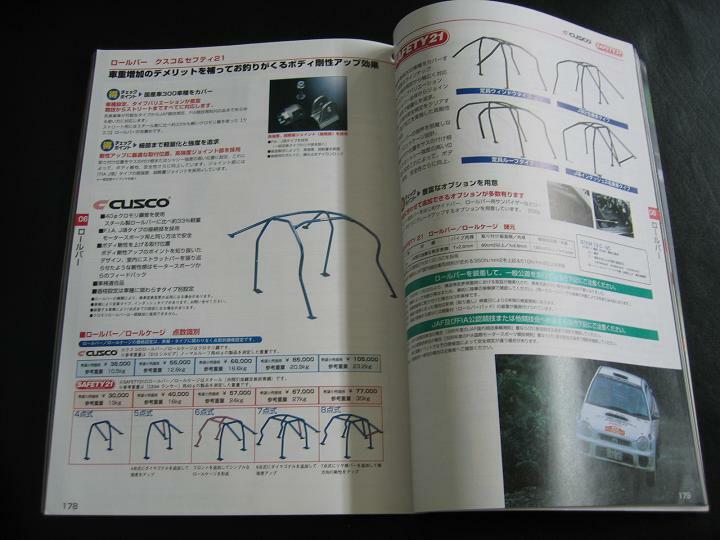 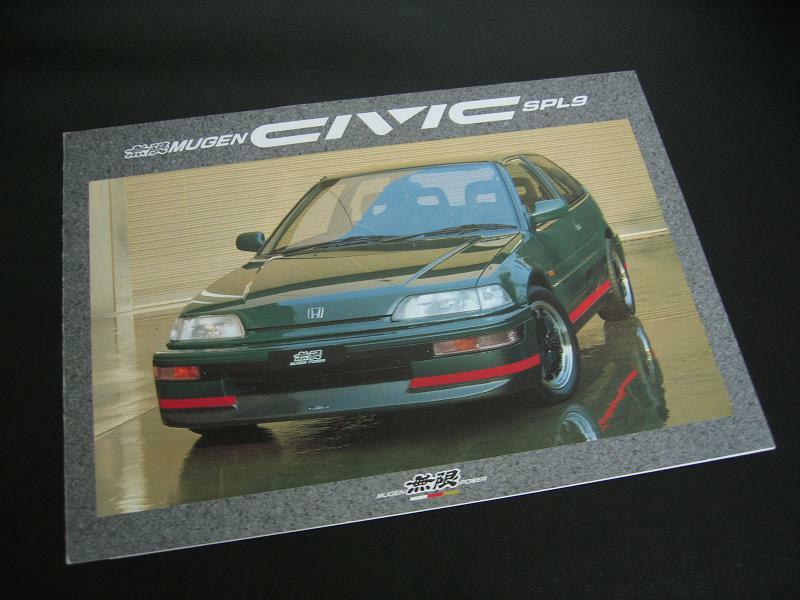 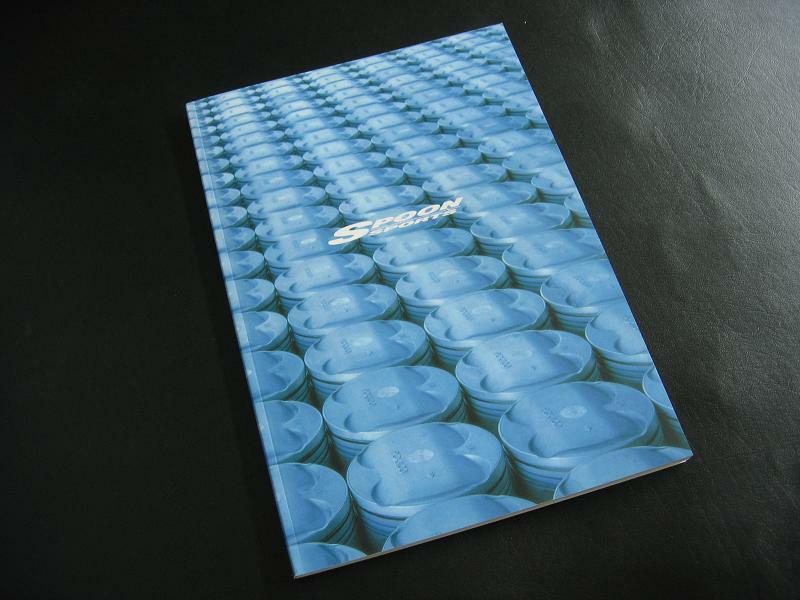 - Contains pictures and part numbers of the rare Mugen street parts for the 1990 Civic. 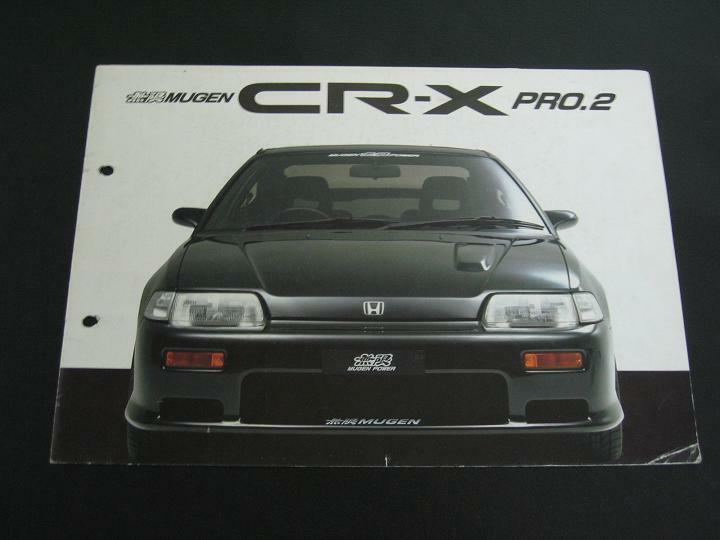 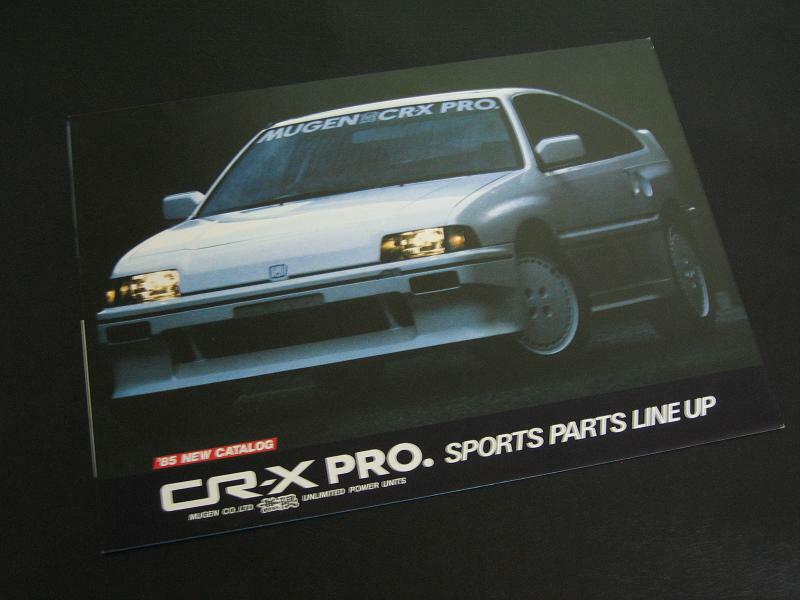 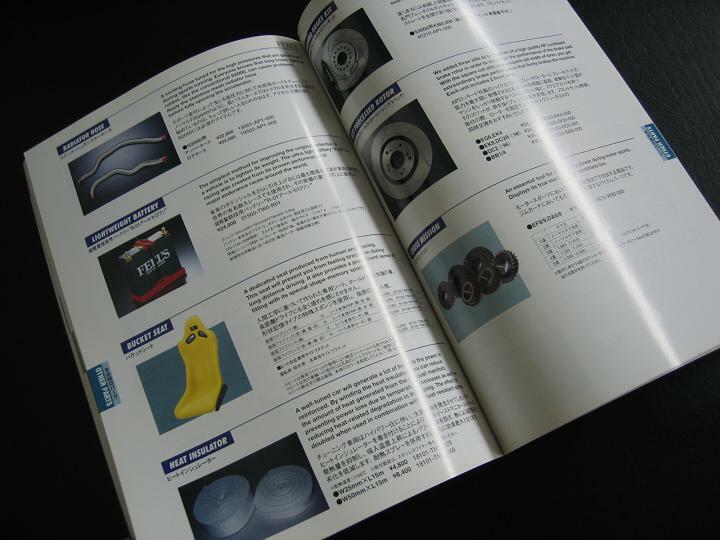 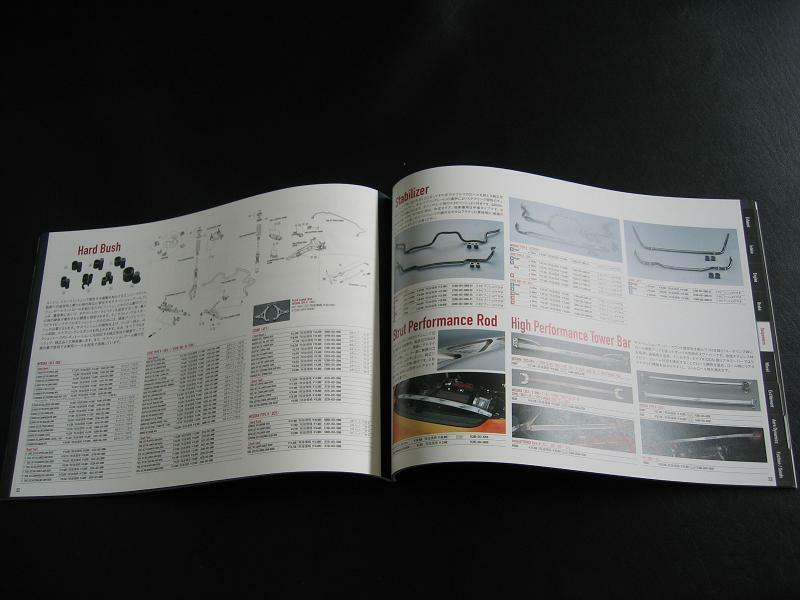 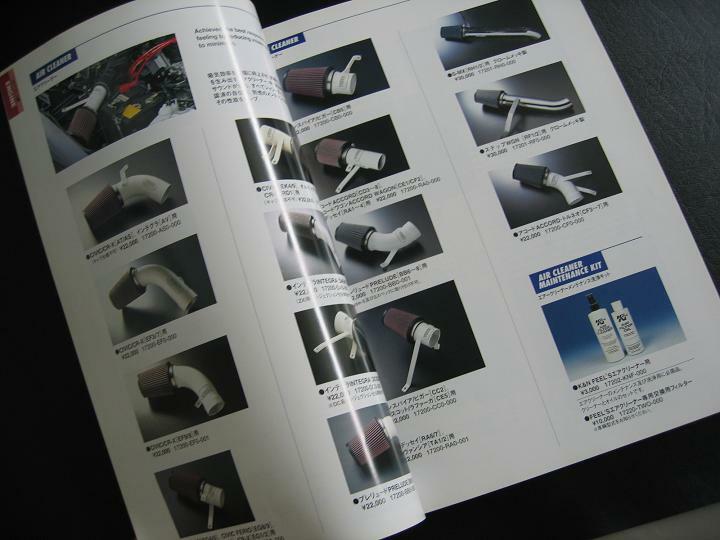 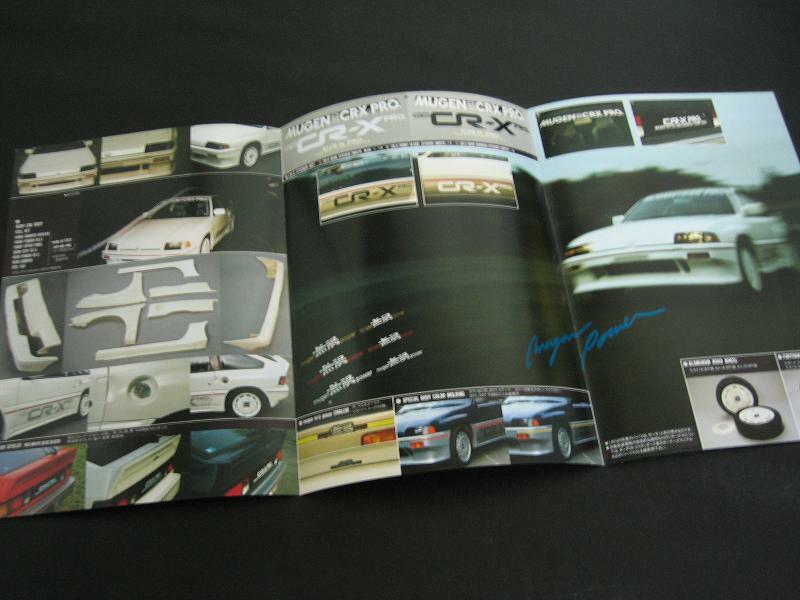 - Contains pictures and part numbers of the Mugen street parts for the 1988 CR-X. 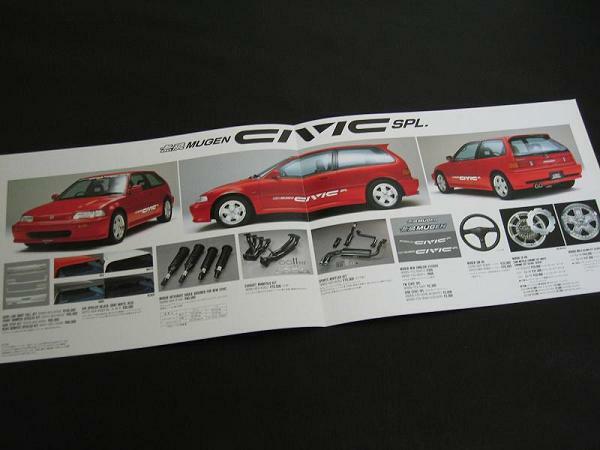 - Condition 7 out of 10. 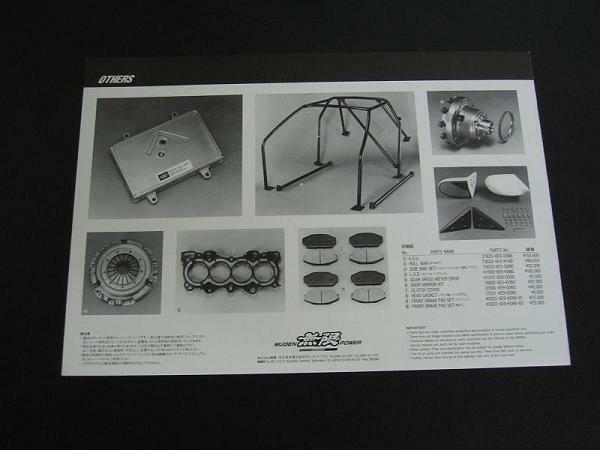 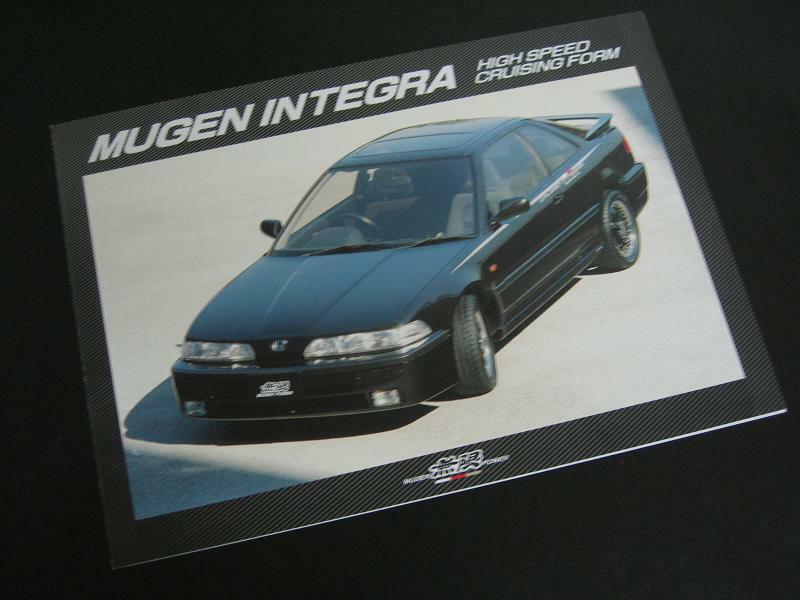 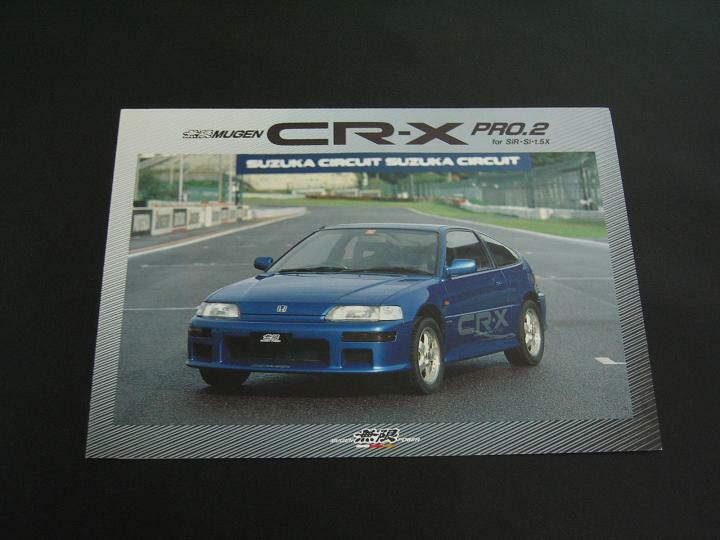 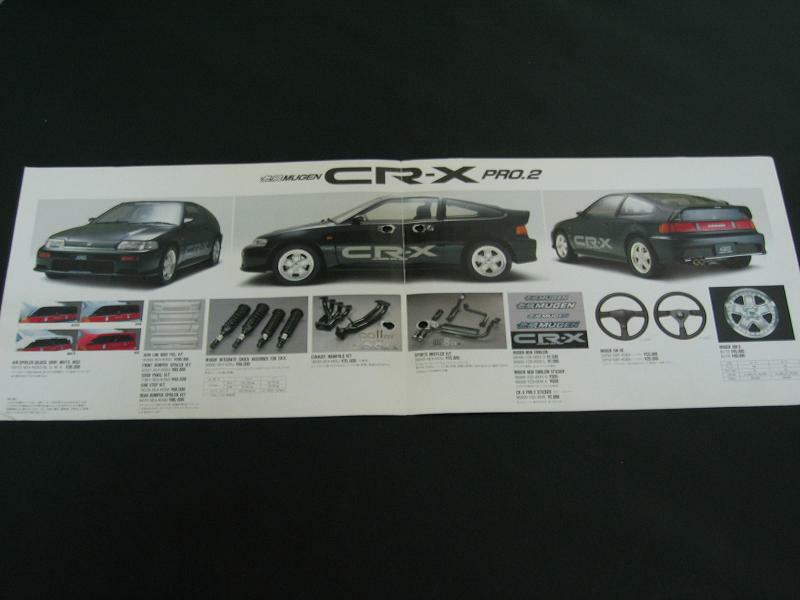 - Contains pictures and part numbers of the Mugen street parts for the 1990 CR-X. 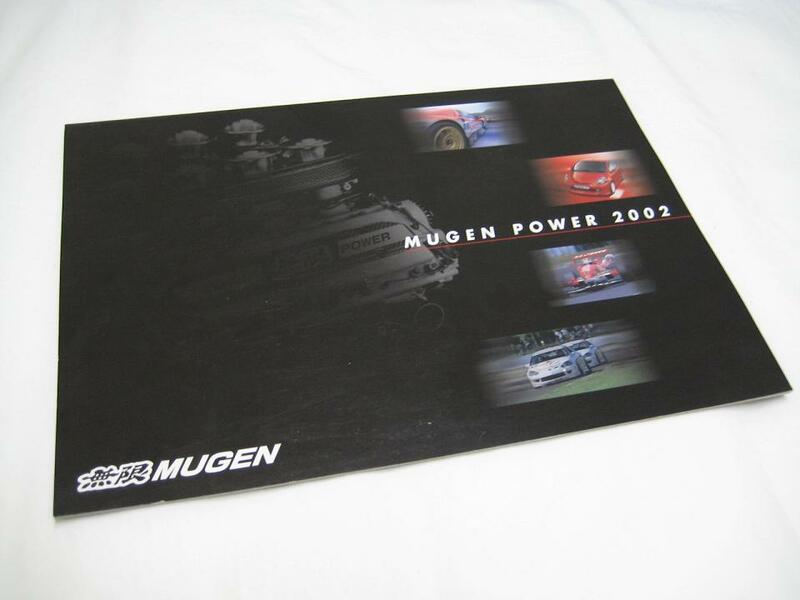 - Contains Mugen's full 2002 line up of parts. 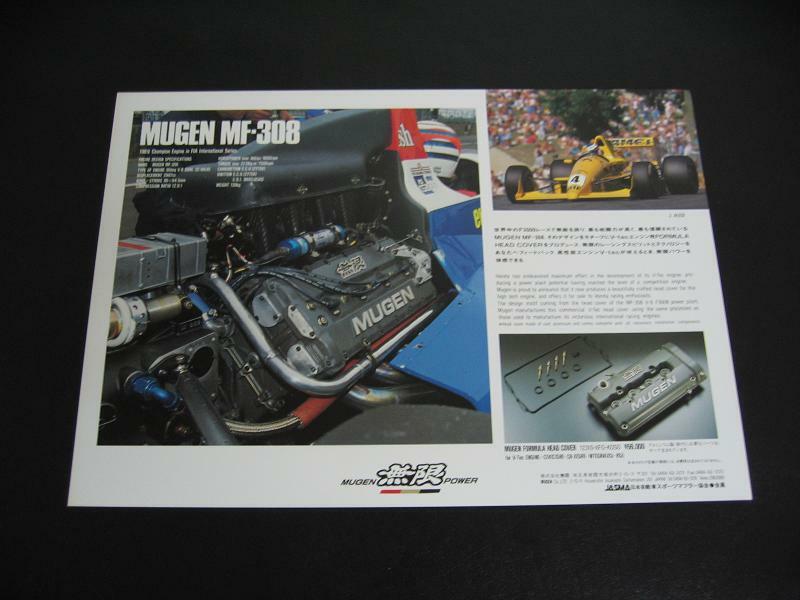 - Contains pics and part numbers of the now rare Mugen DA parts. 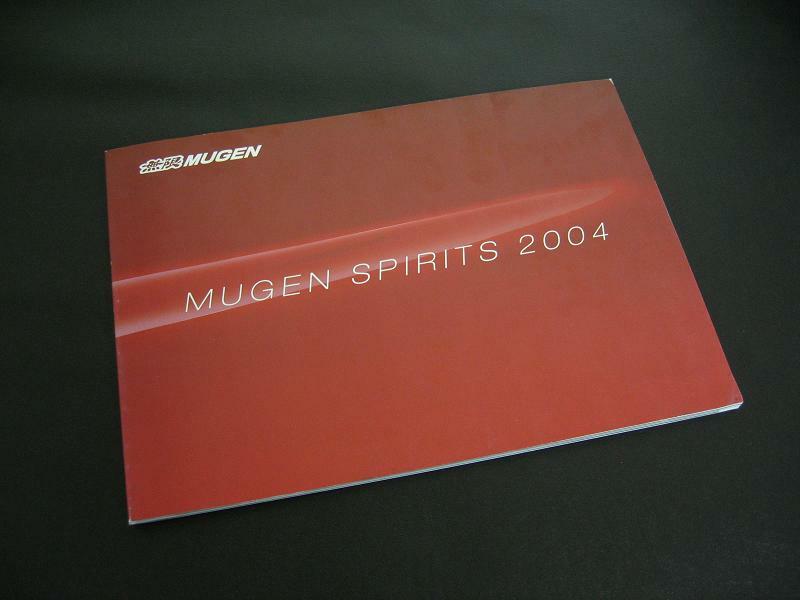 - Contains Mugen's full 2004 line up of parts. 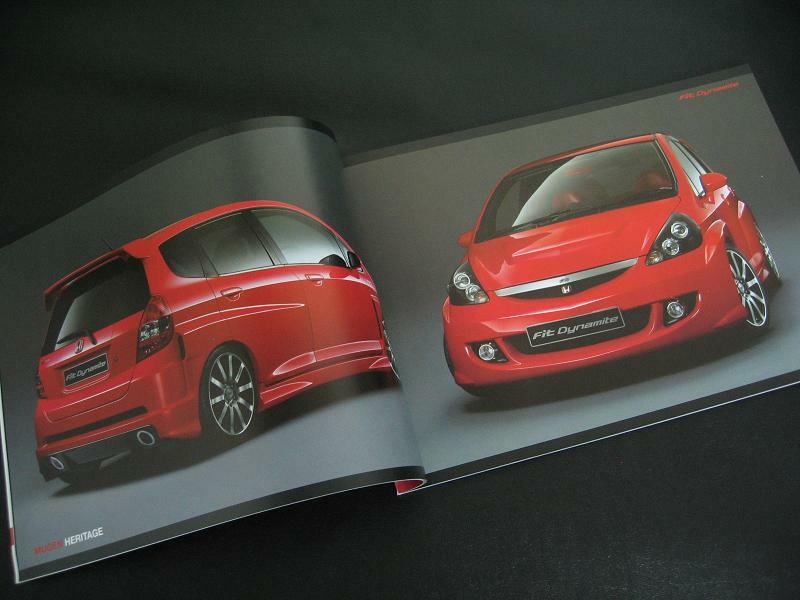 - Rare images of the concept Fit Dynamite. 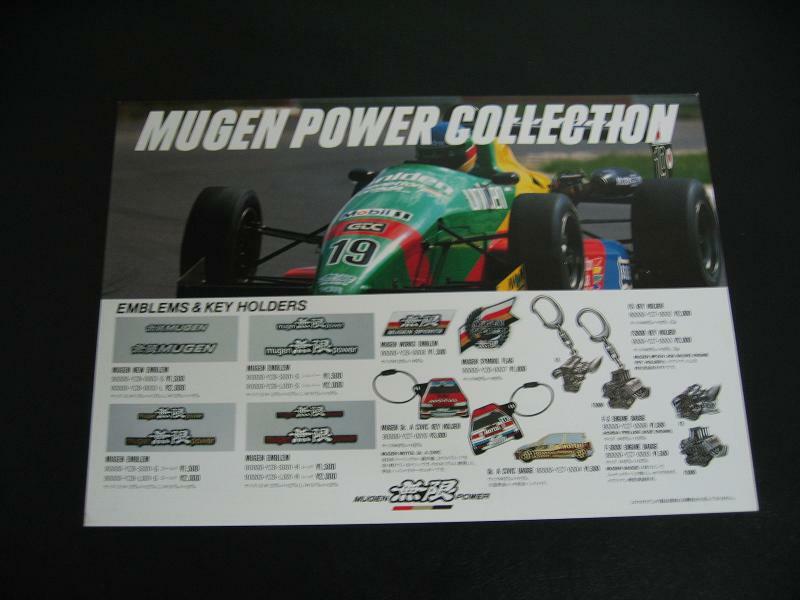 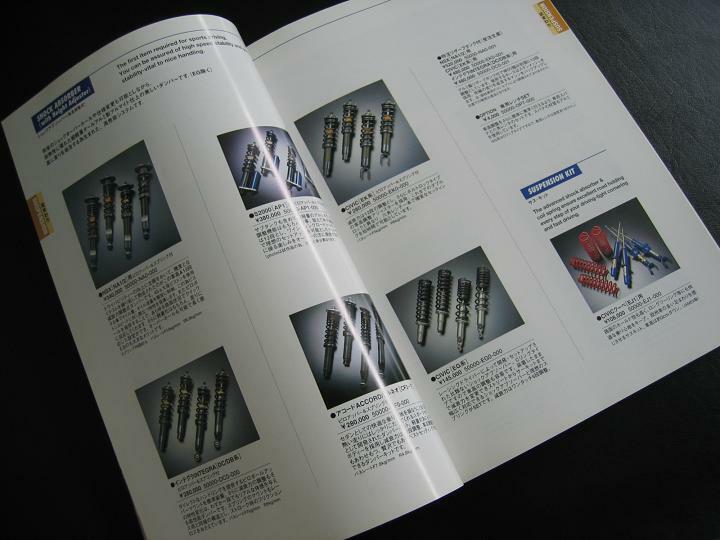 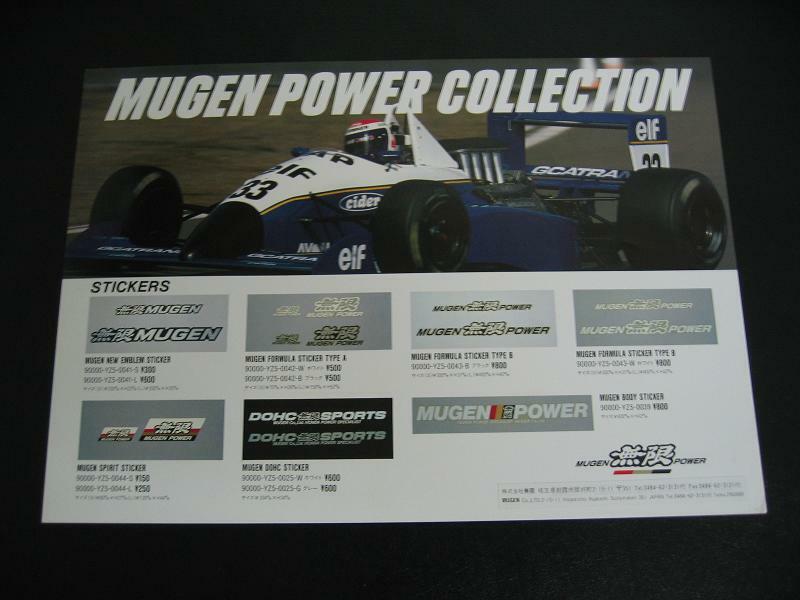 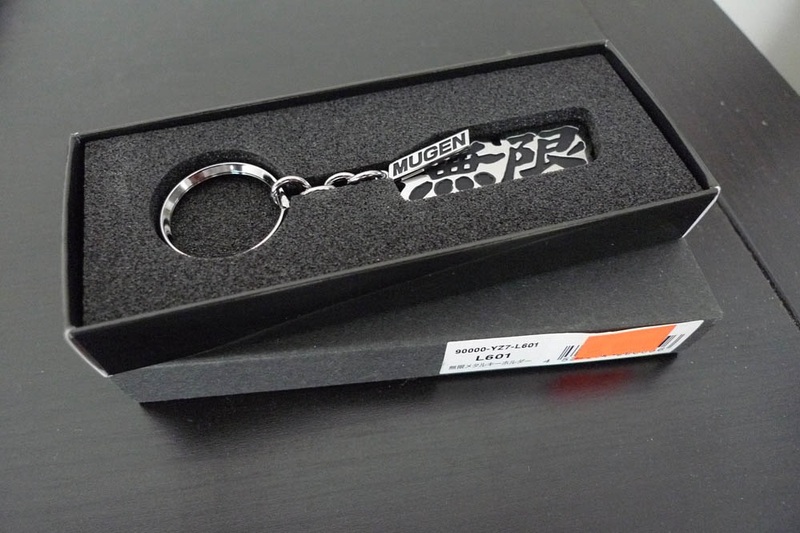 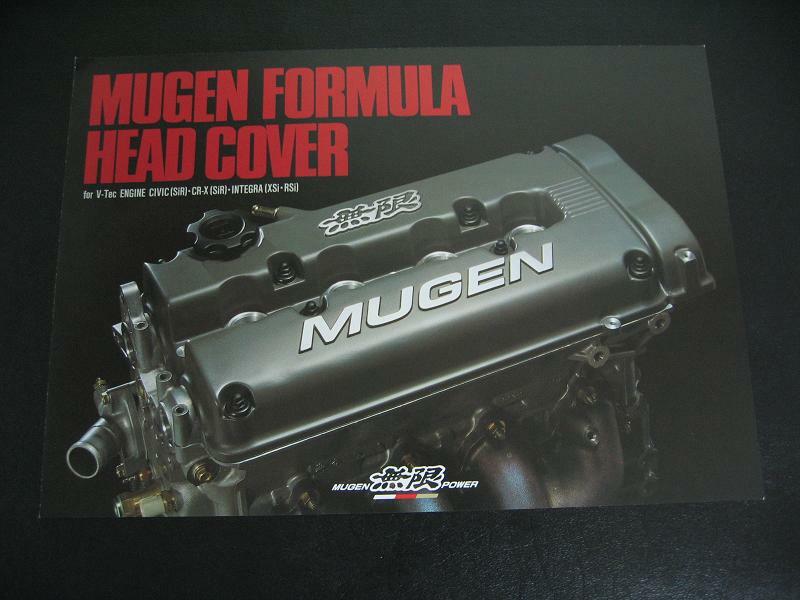 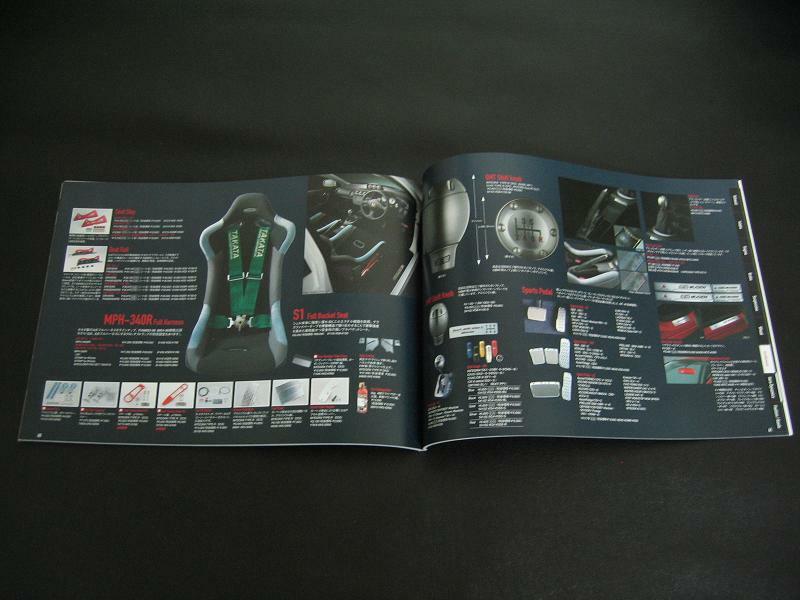 - Pictures and specs of older Mugen goods. 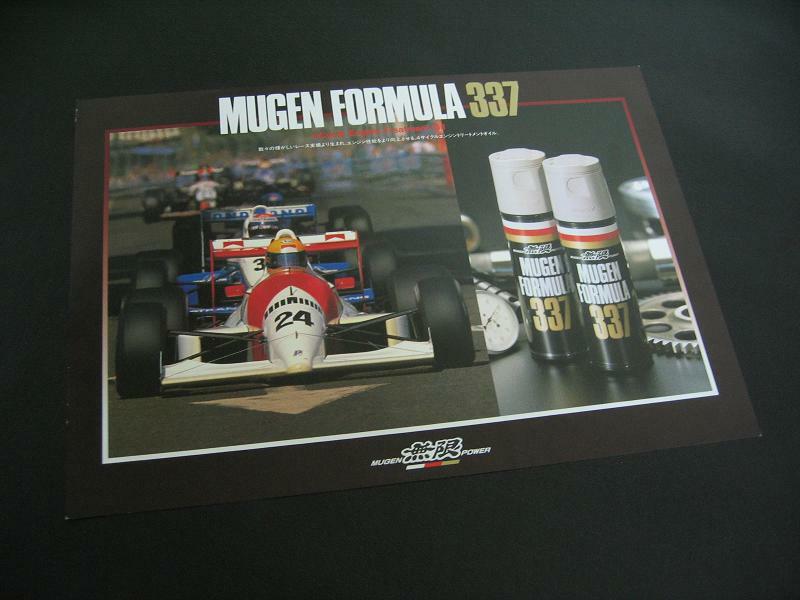 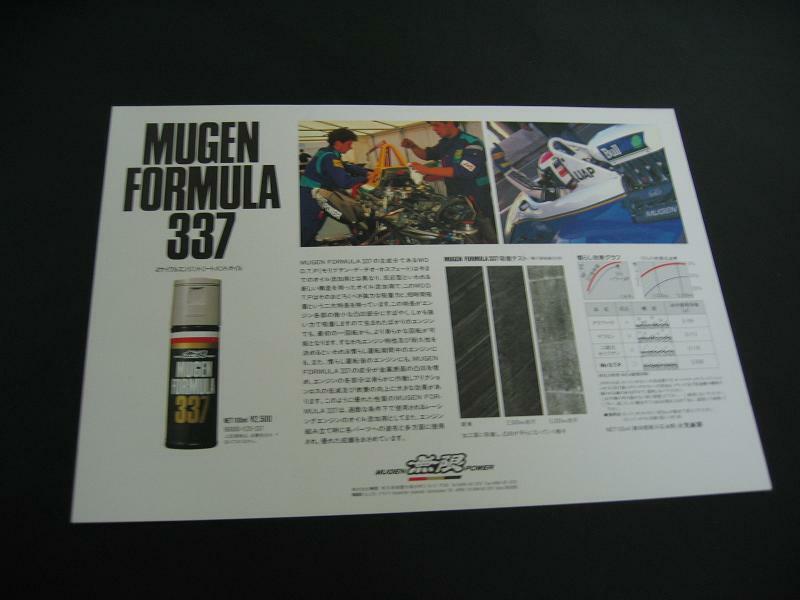 - Mugen Formula 337 is a motor oil additive. 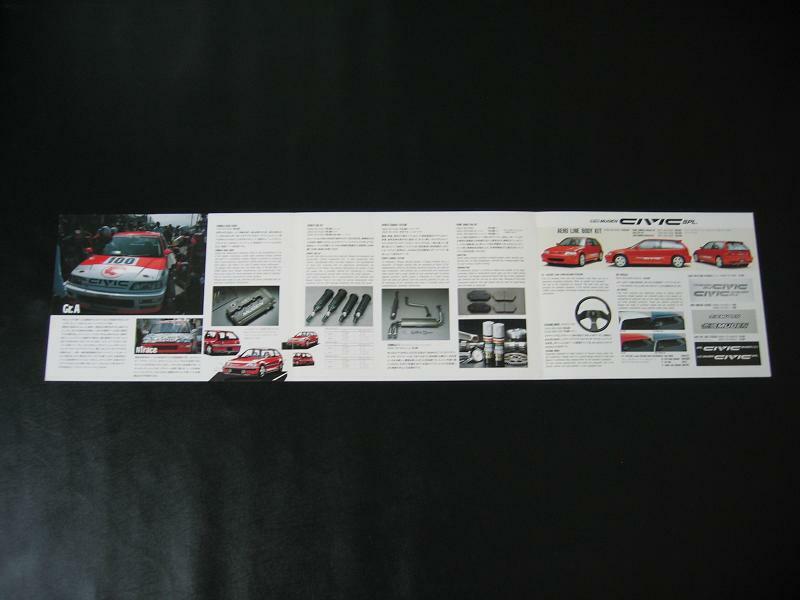 - 2 page, 4 sides. 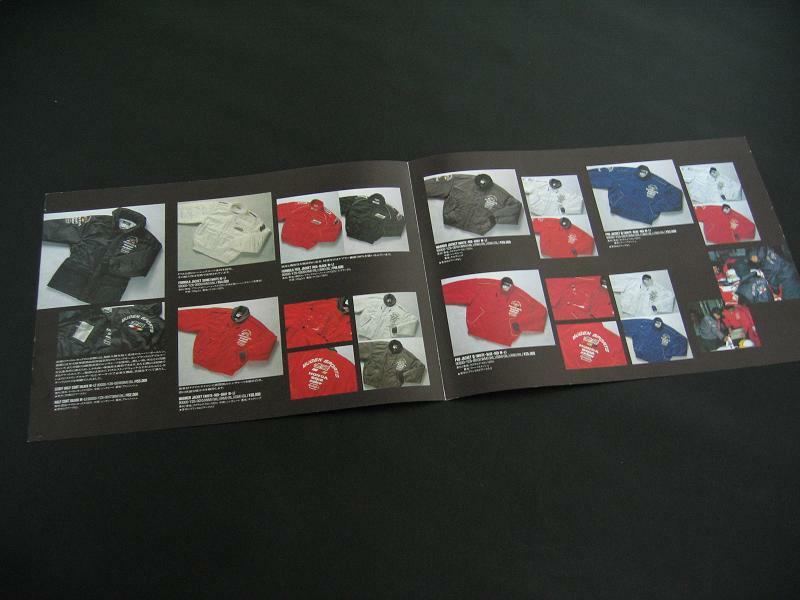 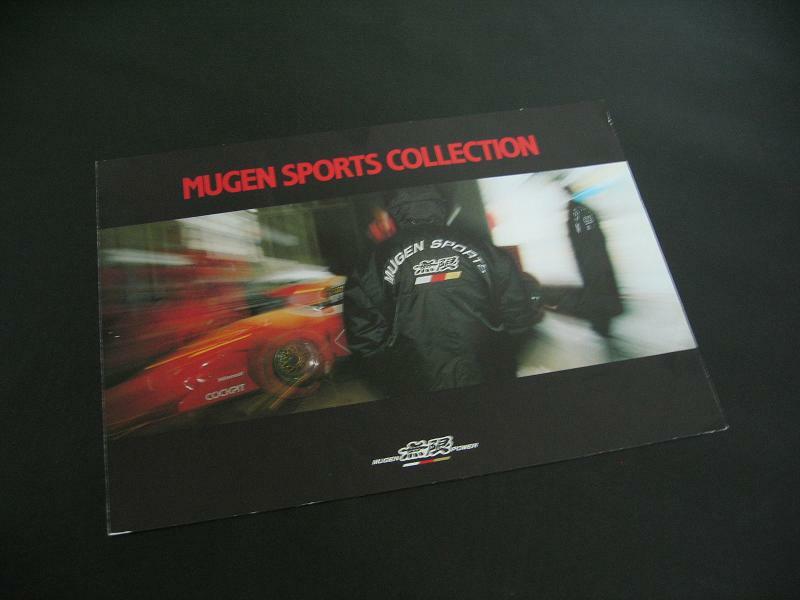 - Pictures of the Mugen sportswear collection. 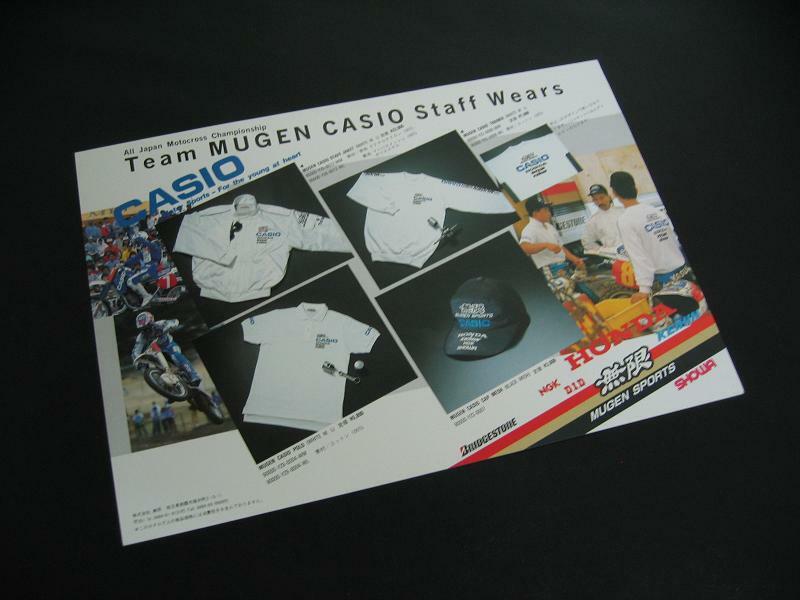 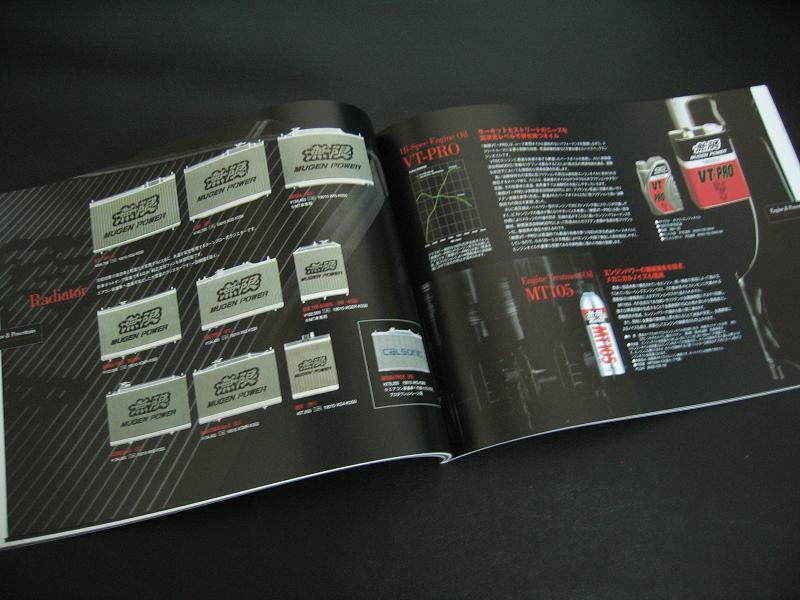 - 1 color page of Mugen Casio products. 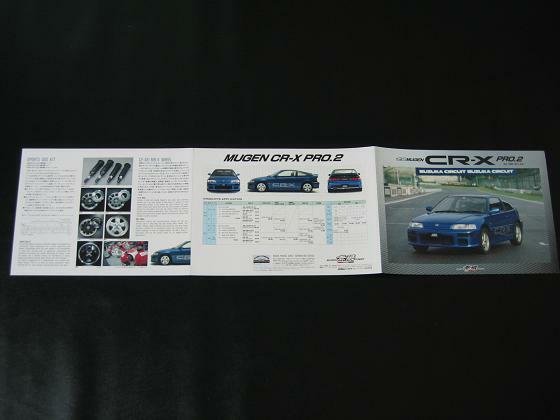 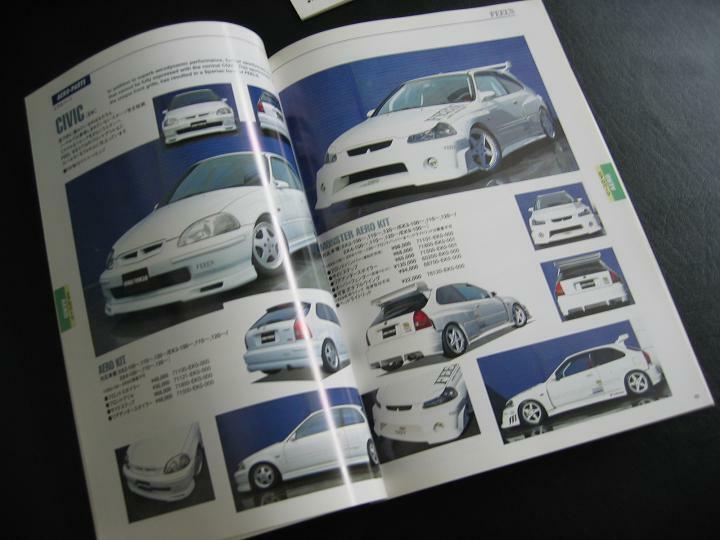 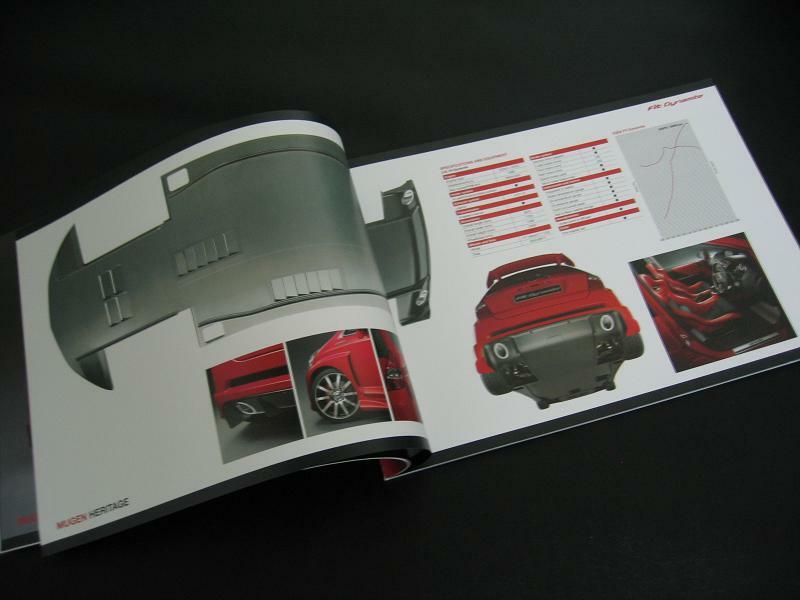 - Contains pictures and part numbers of the Mugen wide body kit and Fortran wheels. 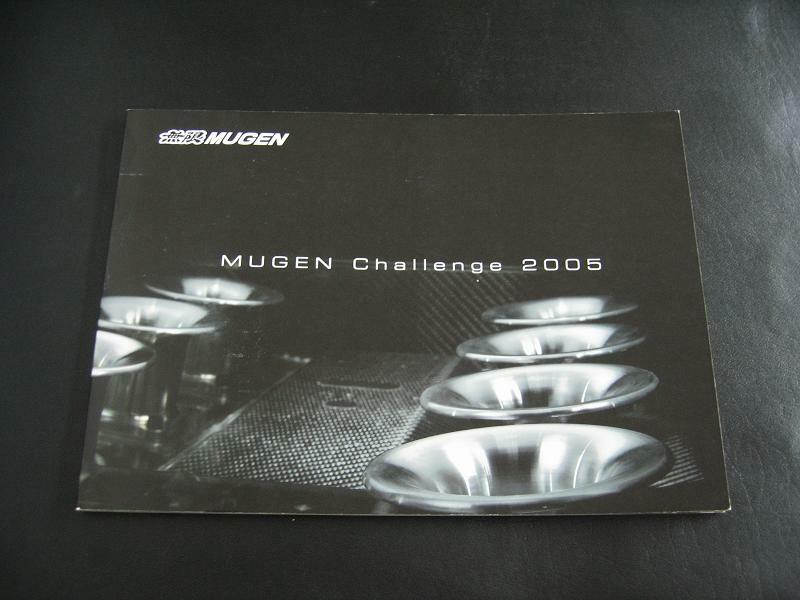 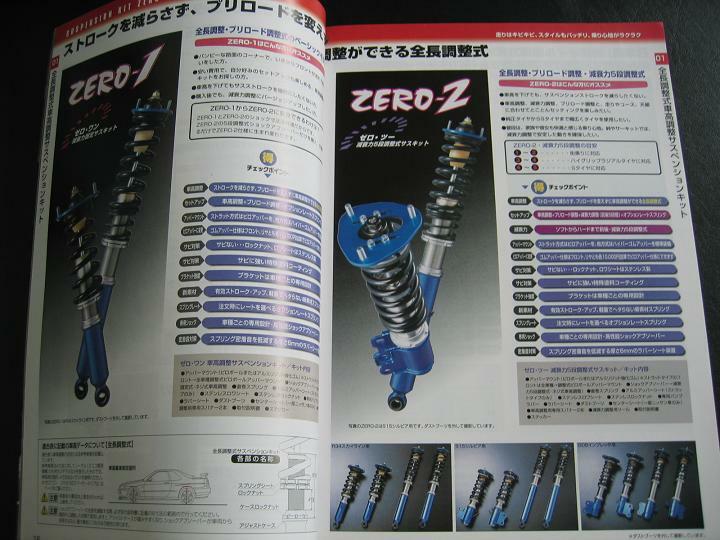 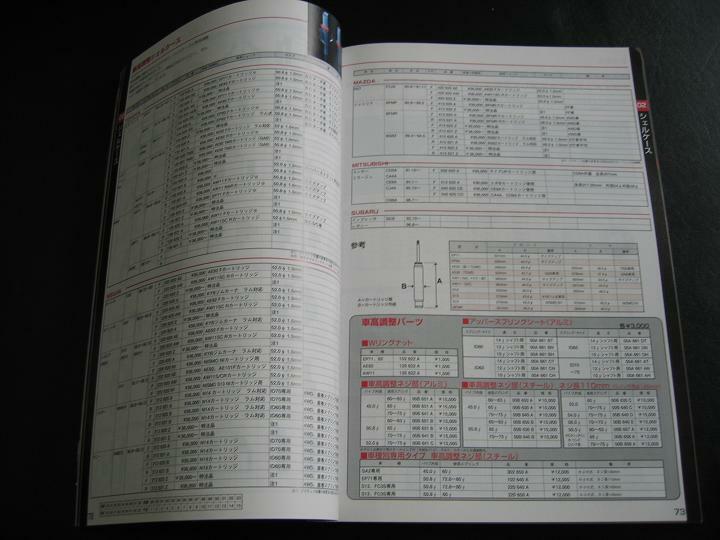 - Contains Mugen's full 2005 line up of parts. 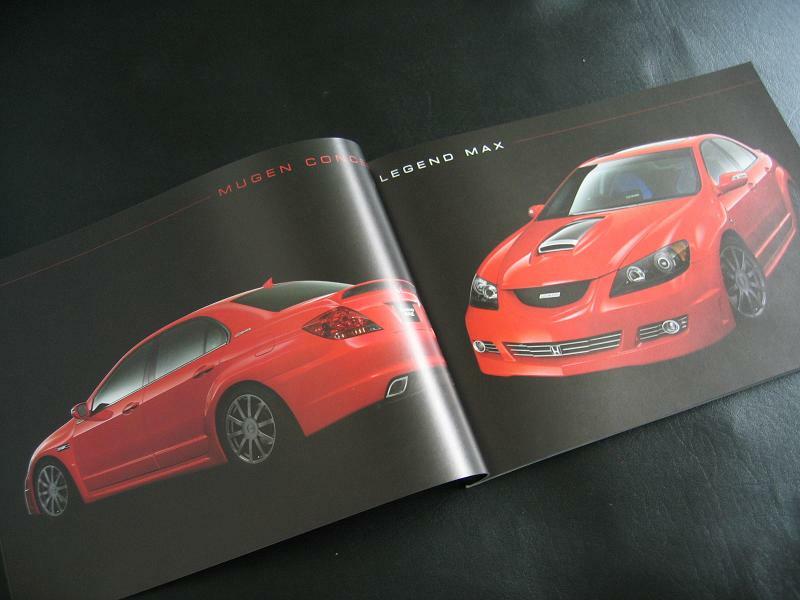 - Rare images of the prototype Legend Max (Acura RL) with the Mugen MF408S V-8 engine. 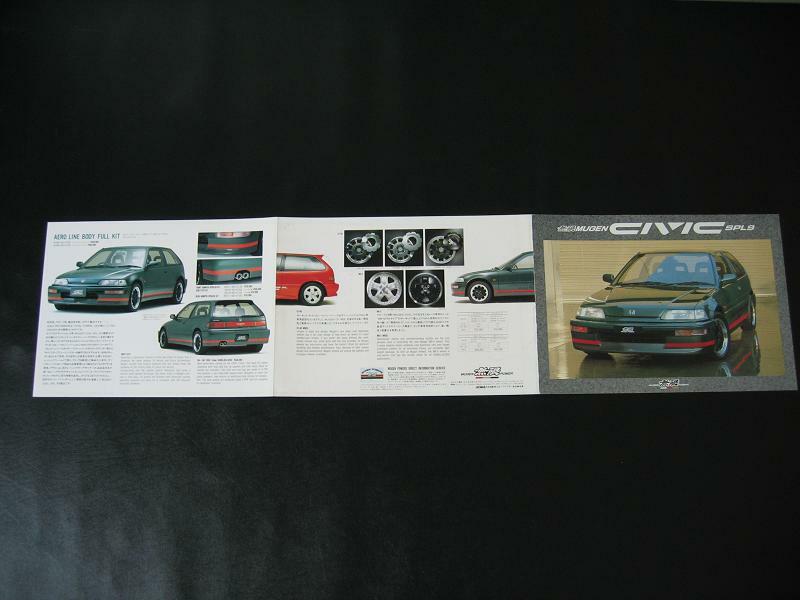 - Also has rare images of the classic widebody Honda City Turbo. 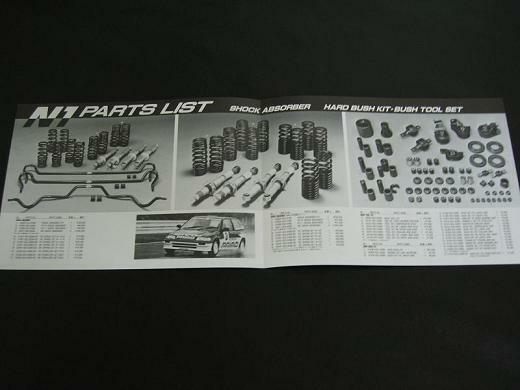 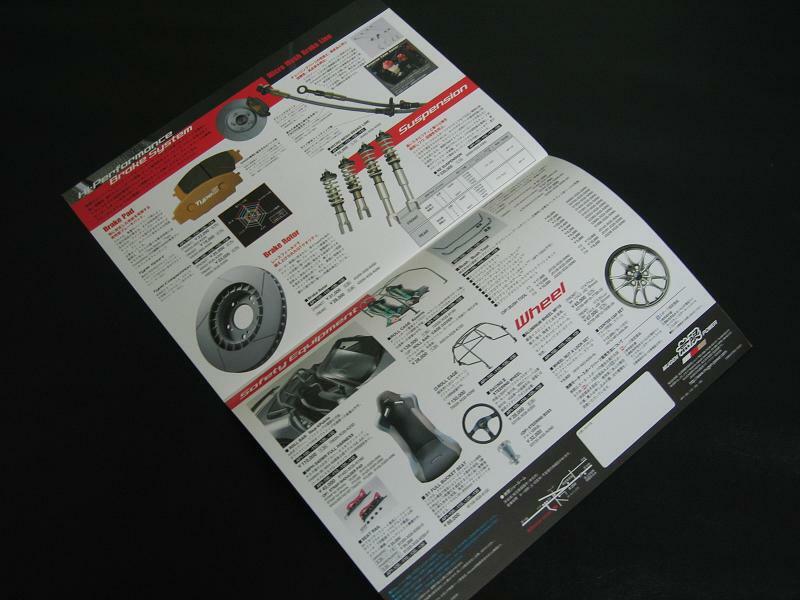 - Contains Feel's full 2000 line up of parts with part numbers. 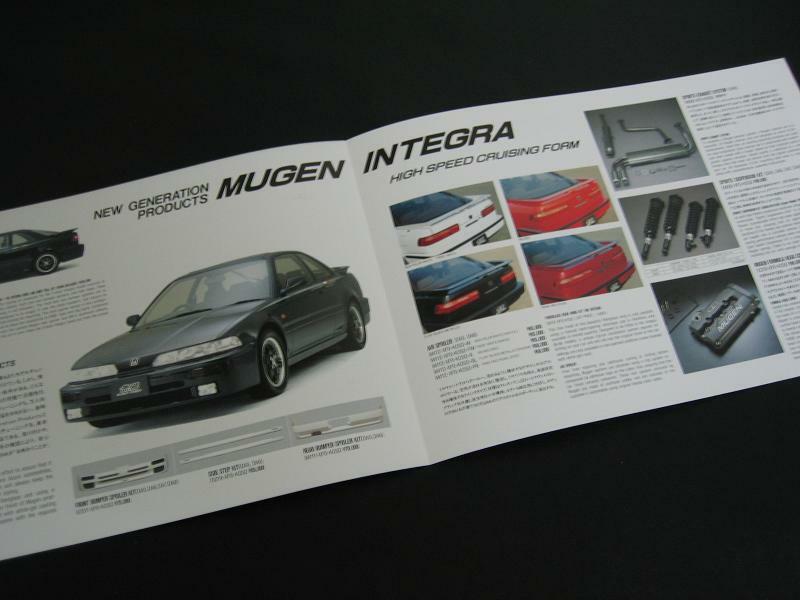 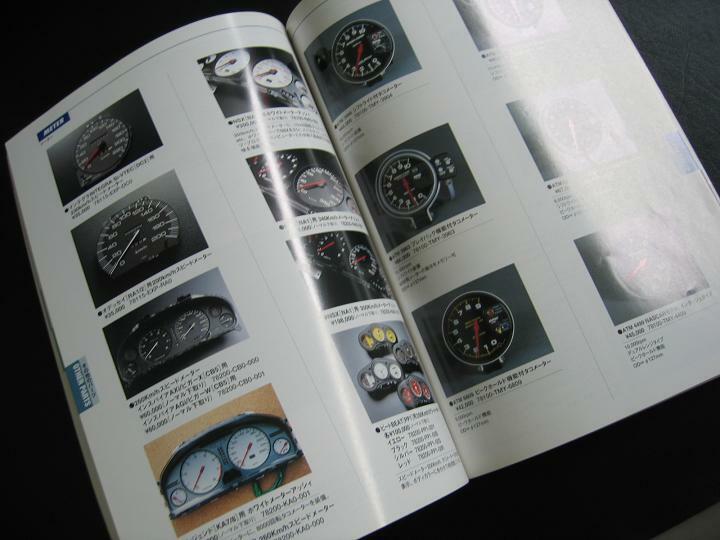 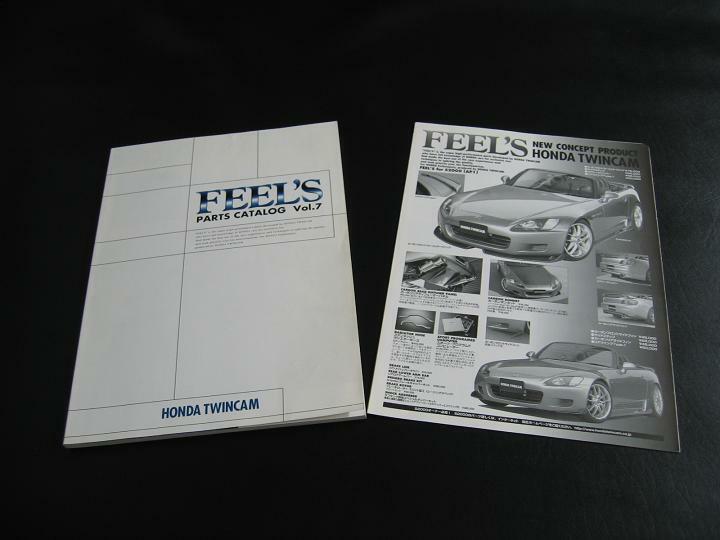 - Also contains other rare JDM parts that Feel's sold, such as Mugen. 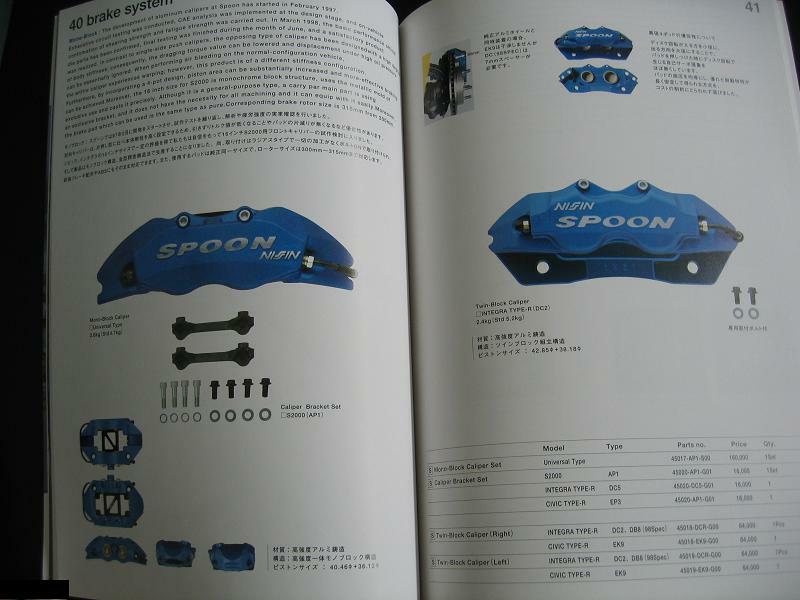 - Pictures, part numbers, and specs of Spoon's complete 2002 parts line up. 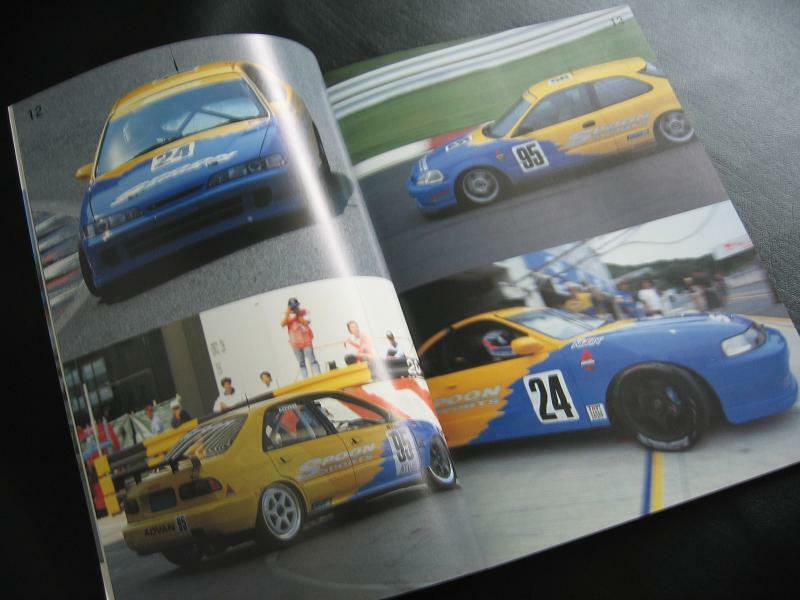 - Also includes pictures of the Spoon race cars. 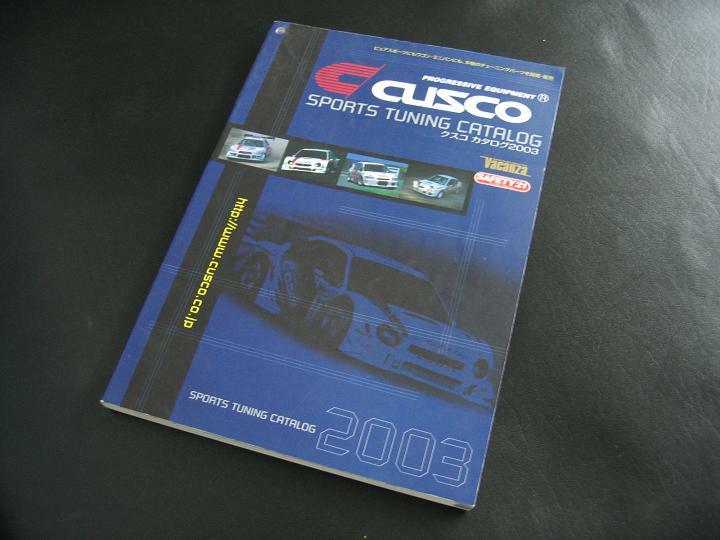 - Contains Cusco's full 2003 line up of parts. 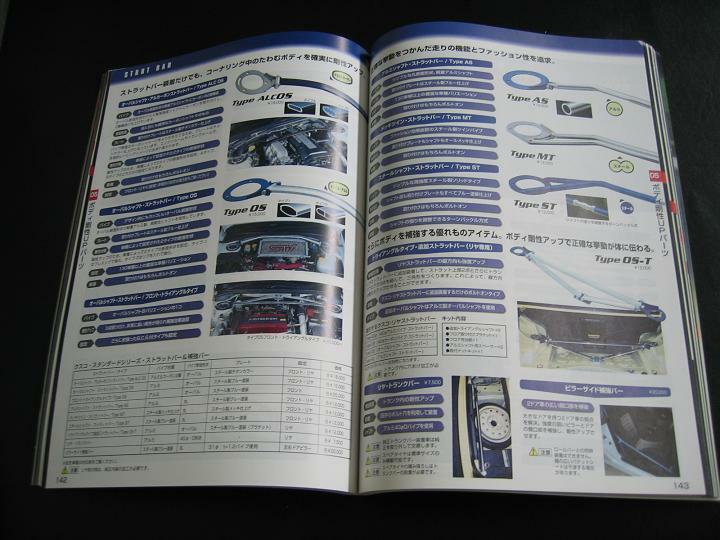 - Part numbers and specs for Cusco products as well as their Safety21 and Vacanza line. 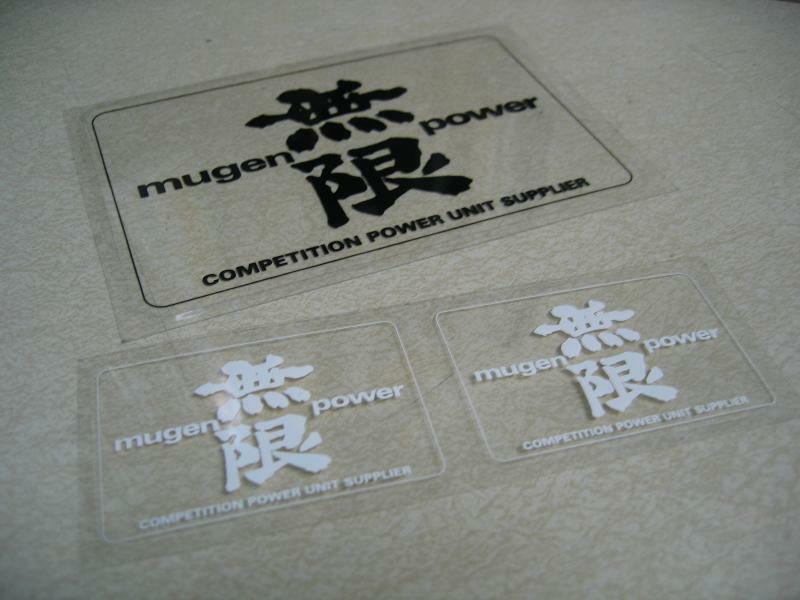 - Colored text printed on clear sticker. 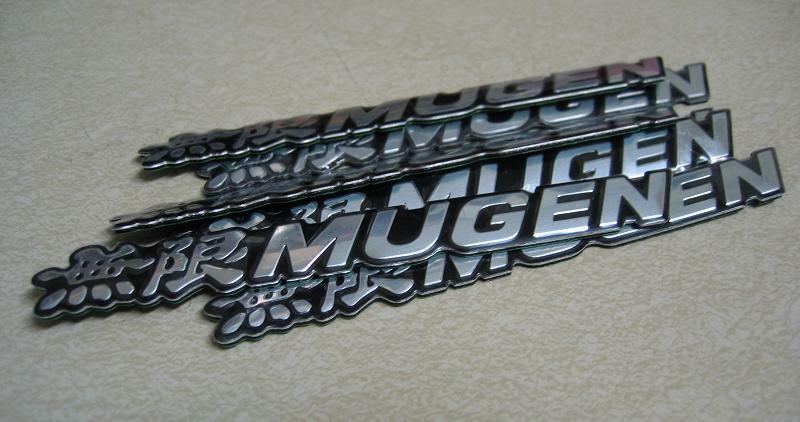 Not cheap vinyl cut type. 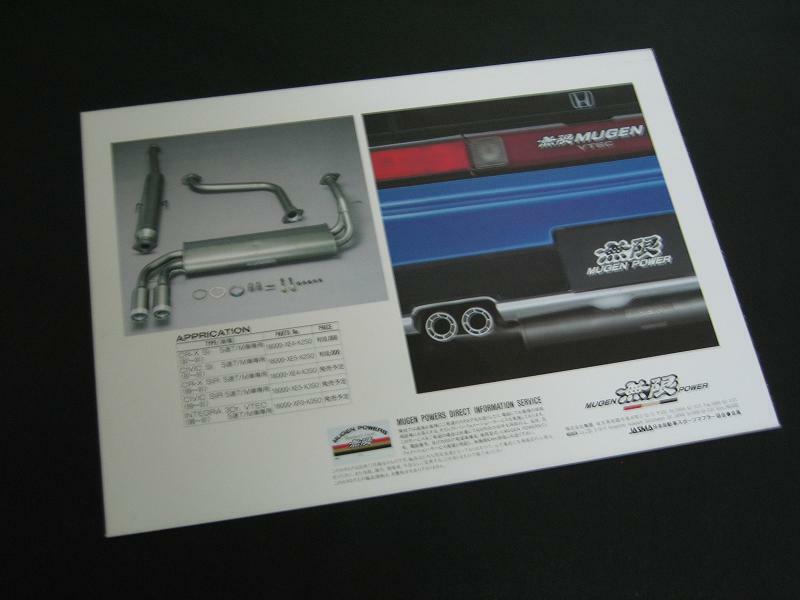 - Replica emblems that are the same size as the originals. 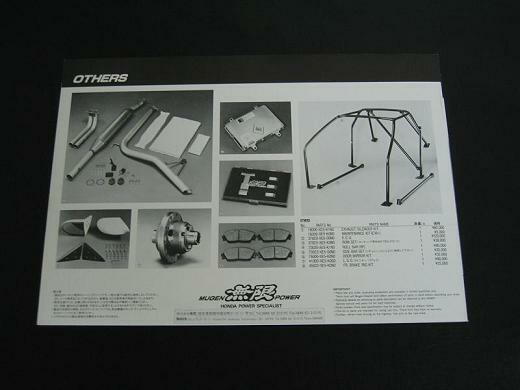 - Made for wings and kits (such as DC2 1st gen wing, EF CRX kits, DA kits,...).